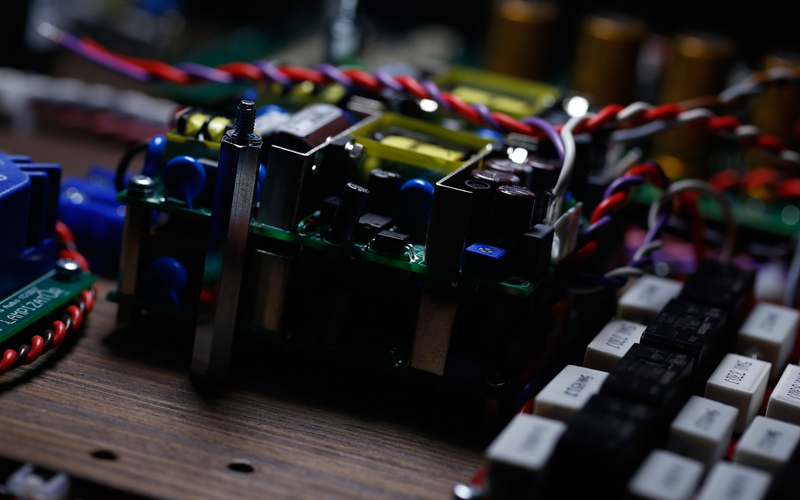 An audio manufacturer can do several things to keep the buzz going. New product announcements surely are one of the best measures to do so. 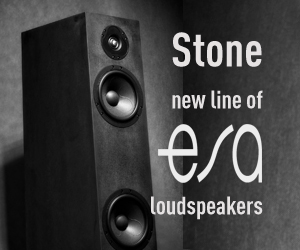 Once an already well established audio company does this exactly, things get spiced up even more. LampizatOr Pacific DAC is this review’s main and exceptionally hot dish. Enojy! 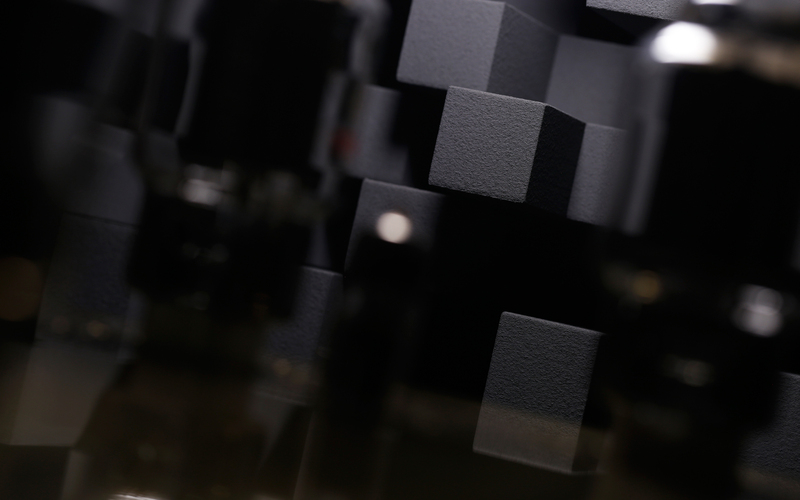 To be a successful audio manufacturer today is not easy. To have a great product finished and past its infancy days is far from enough if it is unknown to enthusiasts – far from it. Not one but many commitments have to be made in order to get such audience properly interested. Recognition and exposure are every newcomer’s bread and butter and a mixture of various shows attendance, press coverage and writings by customers themselves provide these. Businesses well-established on the audio map are of course in a much safer zone, yet have to remain active nonetheless. 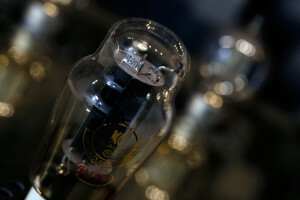 Brand awareness aside, one question begs to be asked here: how long can the glory moment last? 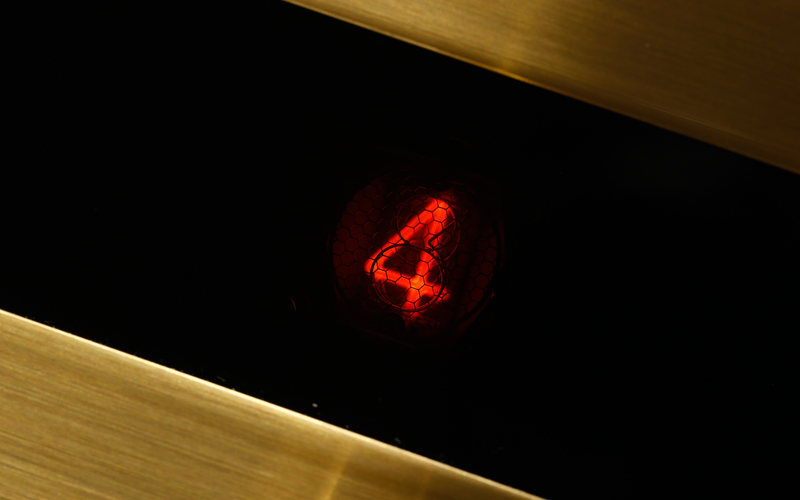 How long can a given company stay in the spotlight and be profitable? Not many audio operations can say that they’ve reached a point where this is no longer a concern. 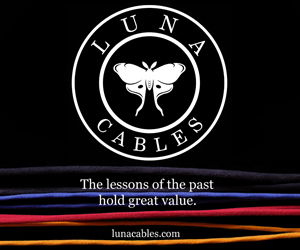 Thöress, Kondo and a handful of other legends craft their goods in almost unchanged form for years, but vast majority of other companies has to fuel the fire from time to time not via small alterations but new products, otherwise it’ll go out. 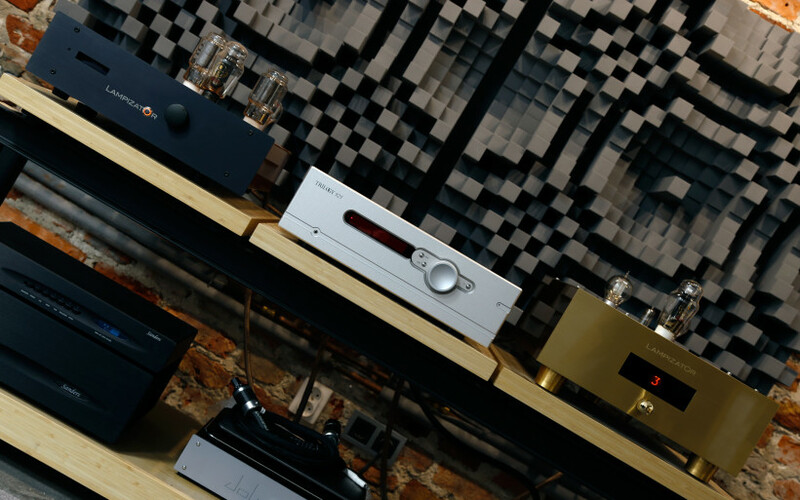 The audio industry is very fickle, competitors fierce and numerous and enthusiasts subject to fads and to audiophilia nervosa, hence on a constant lookout for new toys to play with. It goes rather without saying that it’s a struggle to keep up with all this for most audio operations. 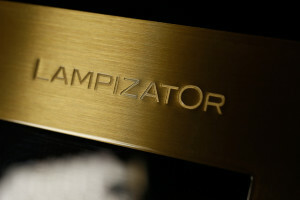 To properly grasp this writing’s product, let’s tackle the LampizatOr case. 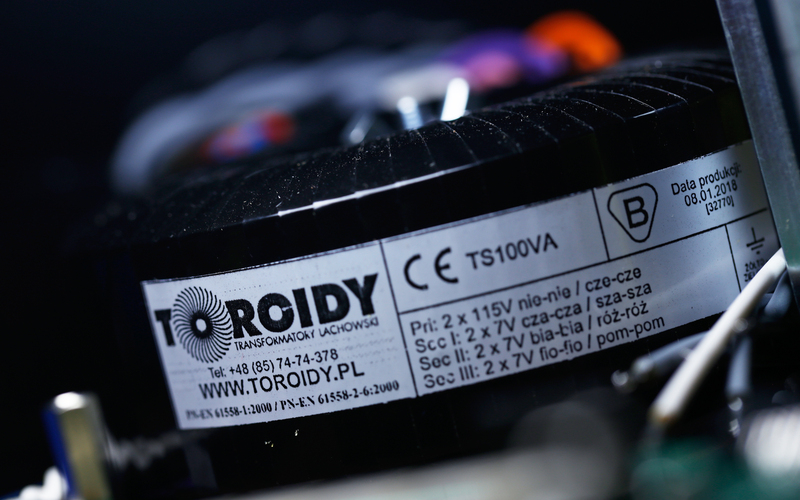 The CEO and owner of this local operation – Łukasz Fikus – started as a self-taught hobbyist DIY-er. It all began in the ’80s. He bought his first CD player, which was a huge thing back then in Poland, yet to his dismay the machine turned out to be dead on arrival. Neither web nor repair tutorials were accessible at that time. This didn’t stop our engineer, no sir. 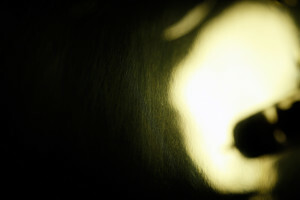 It invoked curiosity instead. Via trial&error approach he repaired the thing on his own and dozens of similar devices later on. Some people do gardening, some paint, some collect stamps and each broken CD deck was to Mr Fikus a charade in a desperate need to be solved. To bring these devices back to life was his way of relaxing. At some point he was able to understand what such machines needed to sound right to his own pair of ears. The answer was clear to him. 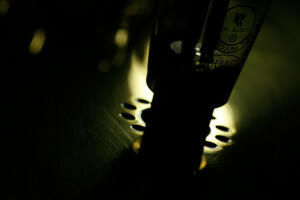 Yes, valves. The more vintage and unknown, the better. 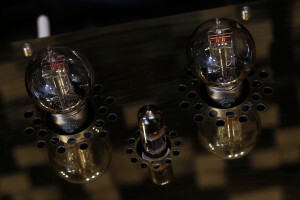 Even today he has a soft spot for these, though he’s very impressed with what KR Audio does. This boutique workshop’s products are his daily drivers. Somewhere along the road Łukasz met several glass virtuosos from Ukraine and Russia, has learned from them about various NOS products, their implementations and moved from there. 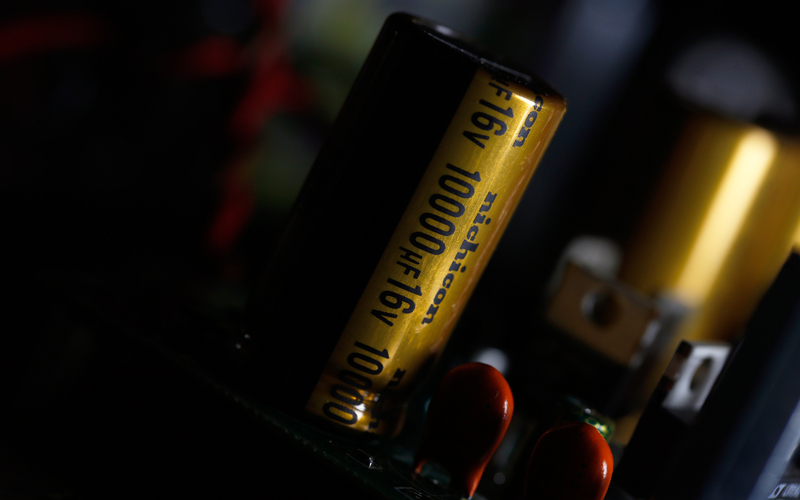 Early on he tinkered with DACs and tubes as a hobbyist at home, yet at some point he realized that doing this for a living is his path, which led to quitting a general marketing manager’s position in a big corporation after 19 years of constant service. Many people wouldn’t even think of ditching a well-paid, financially steady and therefore cosy environment of the sort, true that. 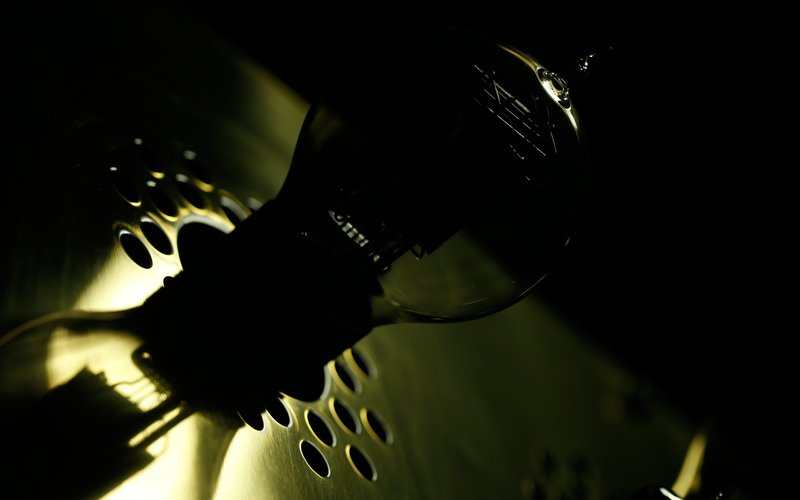 Yet given Mr. Fikus’ passionate and unstoppable mindset, he needs both music and solder fumes to live – that’s obvious. Łukasz had enough confidence in his early products’ performance that quitting his regular job was a no-brainer decision for him. We can safely assume that the man rediscovered himself and had cojones big enough to go with the new flow. Still, in order to go pro all the way, one has to have a legit audio operation. The LampizatOr brand was officially born in 2010 and a proper workshop with several pairs of helping hands on-board were included in the package as well. Some people simply can’t settle for less and are ready to make such undoubtedly risky, life changing moves. It’s in their DNA to go big, commit with everything they have, follow their path and be successful in the process or die trying with no regrets. That is Łukasz in a nutshell and most people who know him in person would probably agree with me here. And the unusual brand name itself? 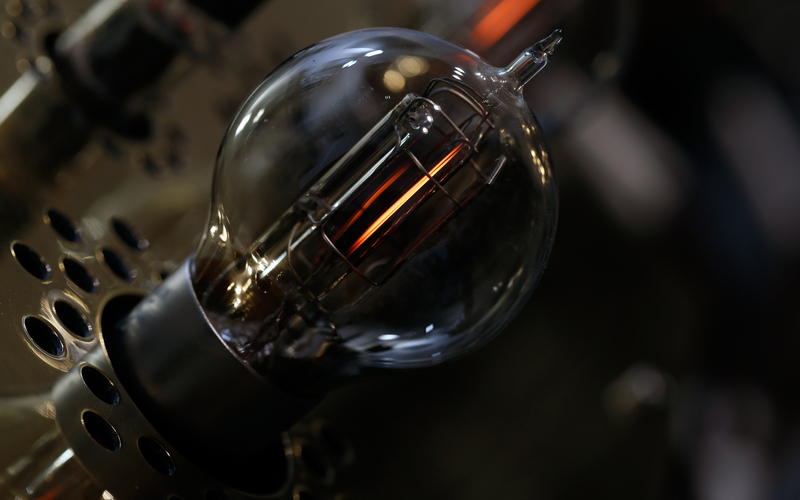 It’s actually a combination of two things; Polish lampa (a vacuum tube) and The Terminator flick from 1984 by James Cameron. 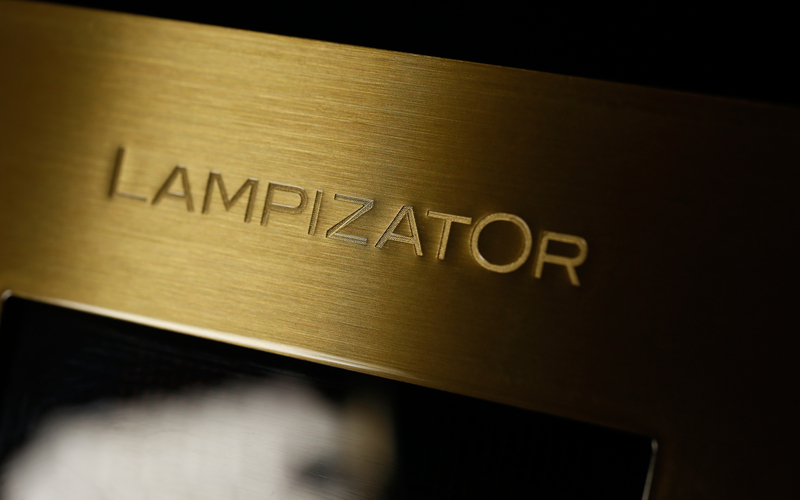 LampizatOr is neither a newcomer nor a Kondo-like legend. But a well-known operation? 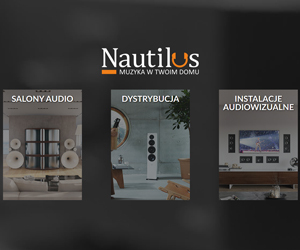 You betcha, dare I say one of the most successful Polish audio houses, in fact. Worldwide distribution network, steady sales, several people strong staff, a proper building to conduct the business and undoubtedly on-going interest from press and enthusiasts surely deserve the ‘recognizable & adopted’ badge. Still, since its infancy days LampizatOr fuels the proverbial fire constantly nonetheless, for two years or so even more effectively than ever before. One might ask the question whether the market forced this operation’s main man to do so, or if this was his own choice. If someone asks me, there are several reasons why this Polish train goes on. 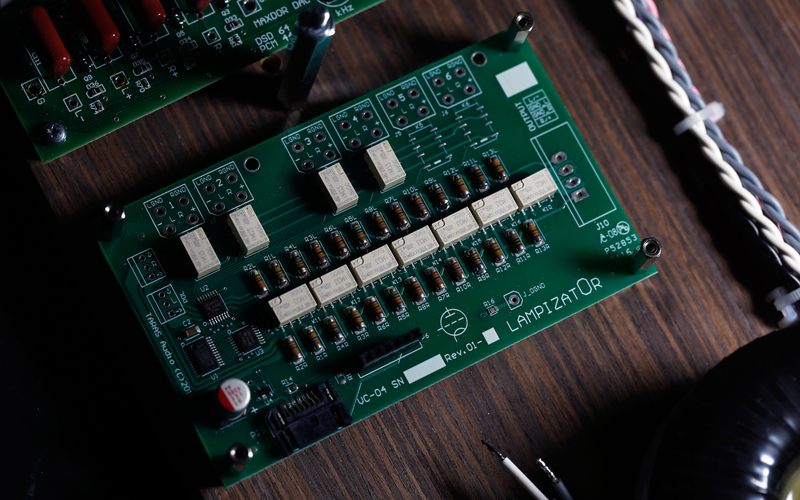 The digital domain constantly evolves, shifts from one route to another and ’em zeros and ones based decks still are the core part of the LampizatOr portfolio. It also makes a lot of sense from purely marketing perspective to deliver new goods once in a while. 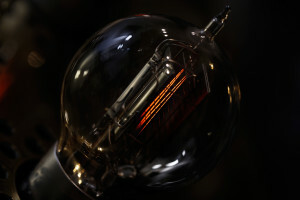 The firm itself is already known for quite unusual products. That inherent oddity alone surely helps in having enthusiasts’ constant attention without any additional measures. All above mentioned scenarios might be valid, yet this scribe puts all his money on restless nature of Łukasz himself. In this gentleman’s case, the search&develop mode is constantly on, he never stops. One can be sure that even during an easygoing convo to the man, a part of him will be somewhere in the R&D land, he’s never in 100% here. Over the years of knowing him, I’ve heard many audio related and utterly crazy ideas. Some actually happened. Some people would probably say that his head is in the clouds. Some individuals would say that he’s one very smart and marketing savvy CEO/engineer, whereas some would agree that the flagship title held by Golden Gate DAC for three years is long enough and something new was bound to happen. Please feel free to pick what sticks the most, while I’ll allow myself to put this guesswork to bed now and simply say: The LampizatOr Pacific has arrived. It’s quite the story how Pacific came to be. I was told that it wasn’t scheduled. Let’s travel in time to late 2015. 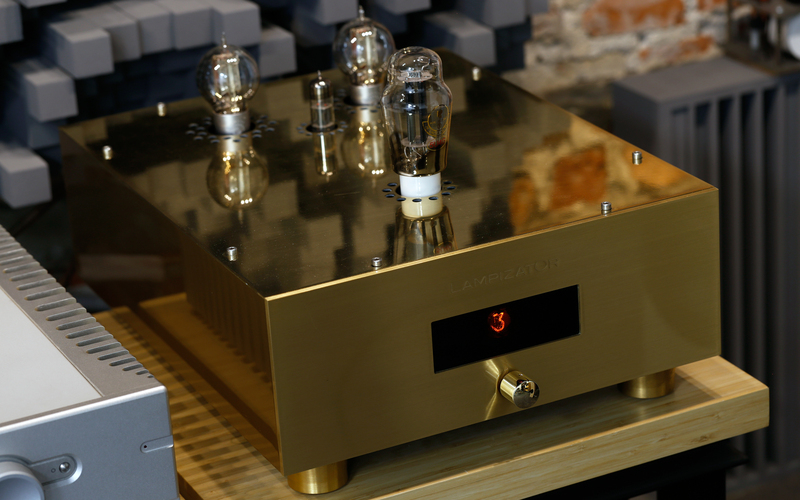 Golden Gate was back then the best DAC Łukasz was able to deliver and once it became available, the focus was in providing steady supply of these machines. To make customers happy was the first order of business. Shortly after meeting this demand, the tinkering phase on the seemingly finished product kicked-in. 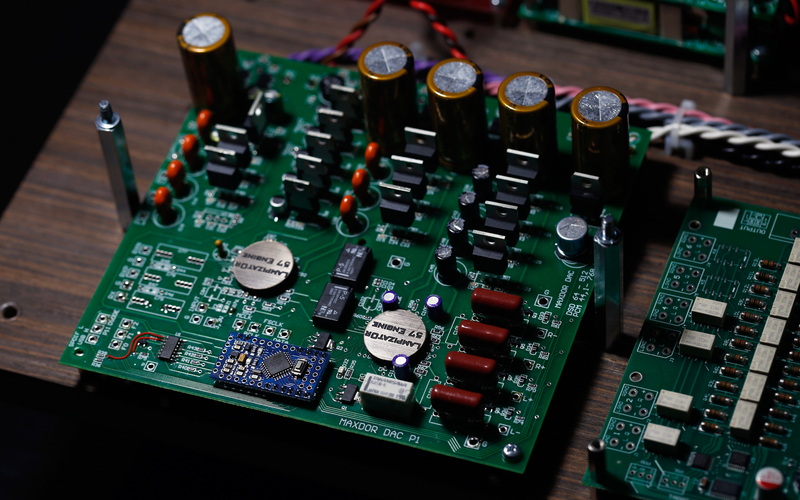 They took a bit of a different approach in handling both digital and analogue circuits. Then, along the road, one major functionality was added. 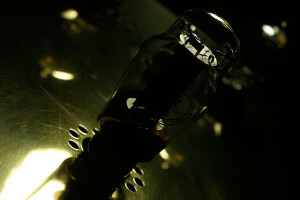 An enclosure changed in the process and the outcome turned out to be quite unexpected and very rewarding. All small steps combined altogether finally netted the most desirable result, namely a device different in comparison to Golden Gate and faithful to the key LampizatOr principles still, yet according to Łukasz even better. The man himself told me that all this was achieved by trial&error, out of the box thinking, tinkering with different components, topologies unimplemented thus far and presumably some luck. But the main takeaway here is that in case of Pacific there was no time sensitive agenda, no pressure on Herr LampizatOr’s shoulders. 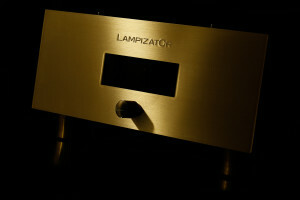 Without protruding tubes and cables on its back, LampizatOr Pacific measures (W x H x D) 43 x 19 x 52 cm and weighs 20 kilograms. 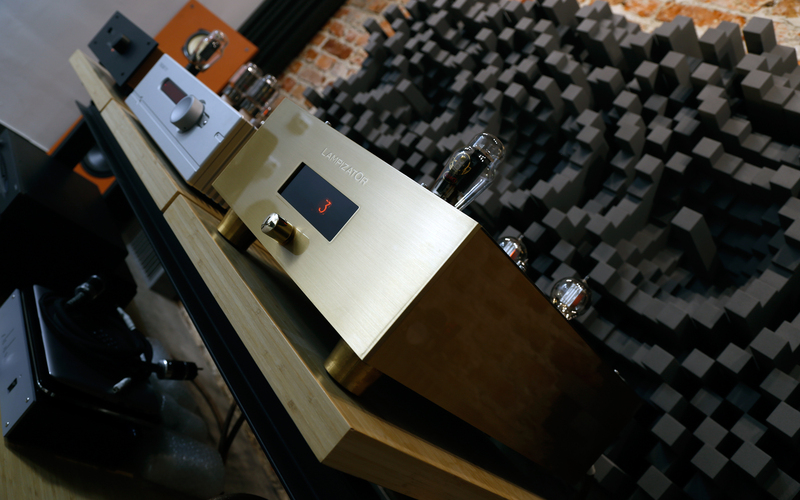 Those are quite the numbers for a DAC and – needless to say – my Golden Gate is dwarfed by the newcomer. 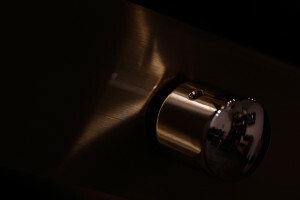 The previous flagship had its enclosure’s aluminium front complimented by top and side walls made out of one piece of bent polished copper, whereas Pacific sports brass. Łukasz likes precious metals a lot, yet finds gold vulgar. 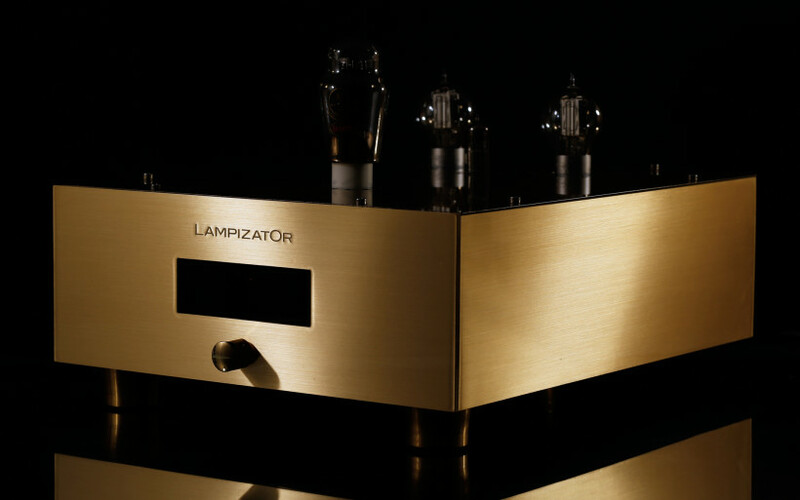 His latest DAC’s look is heavily light dependent, though; it can be very much gold alike or something way cooler and less flamboyant. Please take a look at photos in this review as these show what’s what much better than words. 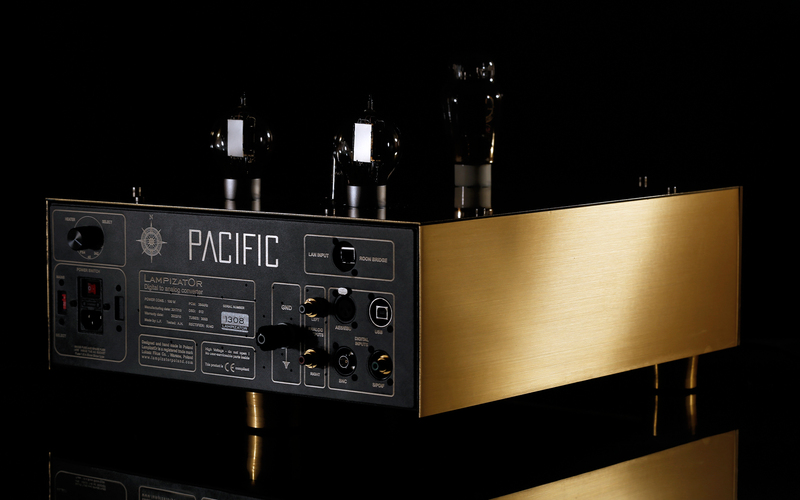 The shiny Pacific was showcased around the world, my loaner is the second unit ever produced and the so-called satin brass version. 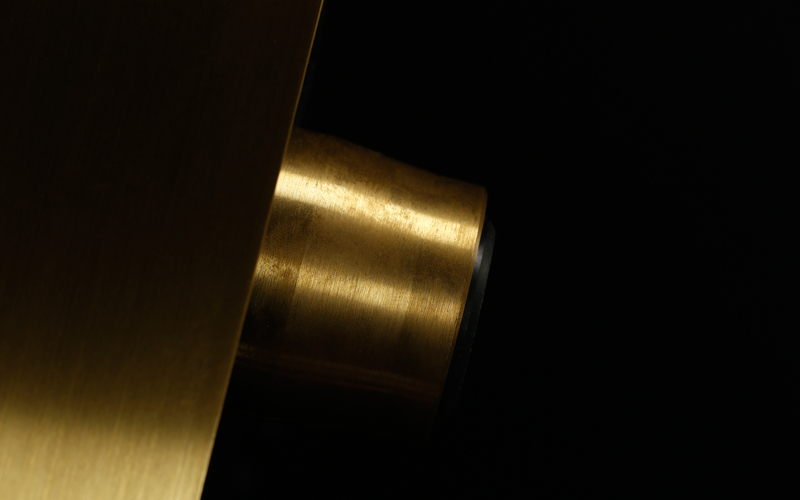 If that’s still too much for you, a toned down semi-black/brass and fully black versions should become available, yet at this time are not yet shown to public. Presumably in the following days the LampizatOr site will be updated with these. Let’s take a look at Pacific’s front. 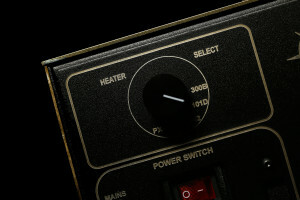 Not much is going on in there; a manufacturer’s logo is to be found above large black and glossy display, a brilliantly clicky and shiny input selector sits down below and that’s it. 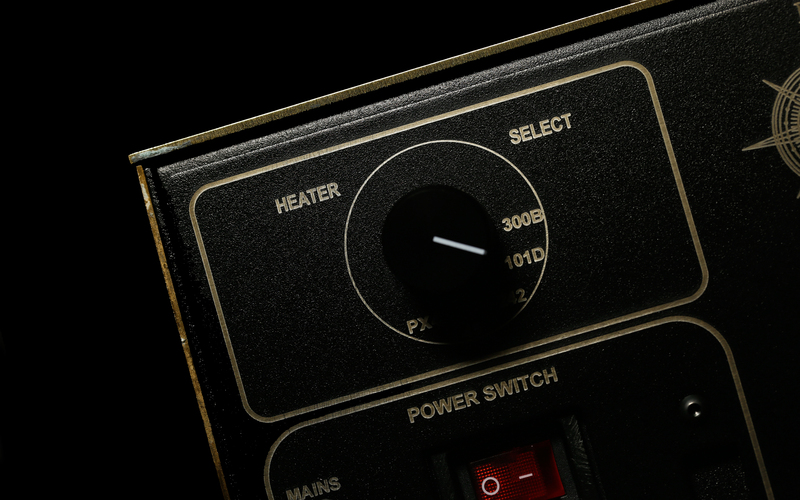 My reference DAC has two on/off switches; the main one on its rear puts the device in standby mode automatically and heats all valves, whereas yet another one found in the ‘O’ letter of the logo makes it fully operational. This is no more as Pacific exploits only one button on its back and that’s it; nothing else is needed. Yes, the old company logo is gone in the process. Not only it looks very much DIY, but also remembers the early LampizatOr days and as such it doesn’t quite fit the expensive newcomer. Moving on, there are actually two displays available in Pacific and it’s version dependent. DACs loaded with a volume control module arrive with a remote control unit and an OLED screen, both of which I have not seen. 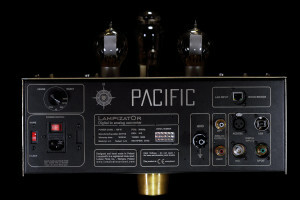 Since my daily driver is an integrated amplifier, there was no need to loan such a product and that’s why I’ve rolled with the basic Pacific version. 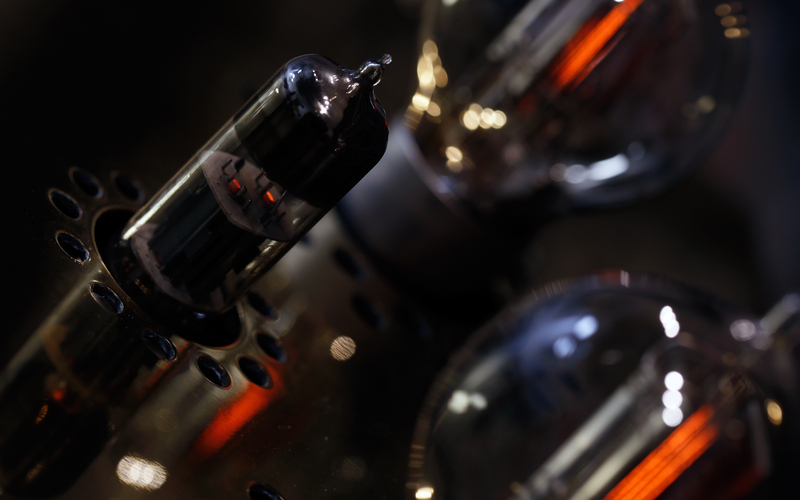 What was given in return, though… Years ago, during one of the usual future related talks with Łukasz, he told me that he’d like to use Nixie tubes in his products. It took him a while, yet finally he delivered. 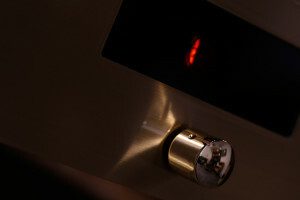 Instead of an OLED screen mentioned up above, Pacific without a TAIV VC-04 resistor ladder volume module option sports a black acrylic glass and a GN-4 Nixie valve behind it. Currently used (one out of five) digital input display is the only task this glass handles, yet looks gorgeous while doing so. Pacific’s rear is generous. The aluminium knob located in its upper left corner is the heater selector with five different settings (300B, 101D, 242, 45 and PX4) available. 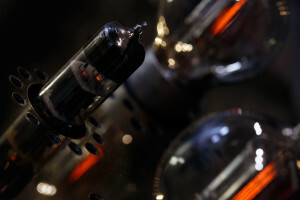 The goal was to have valves heated within 0.5% tolerance and not ten times that (which is still considered as fine btw. 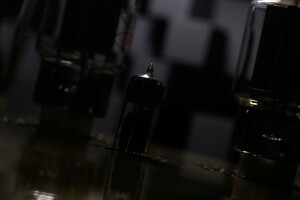 ), which translates to these components’ lives a bit easier. 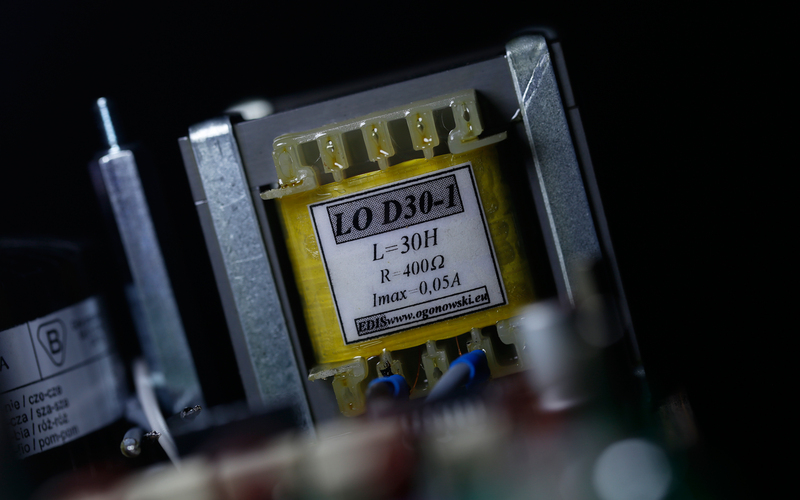 Somewhat below is the main power on/off switch, an IEC socket with self-replaceable fuse and a voltage selector. Pacific is worldwide operable without the need to send it back for a rework if say an EU located owner sells his unit to a resident across the pond. 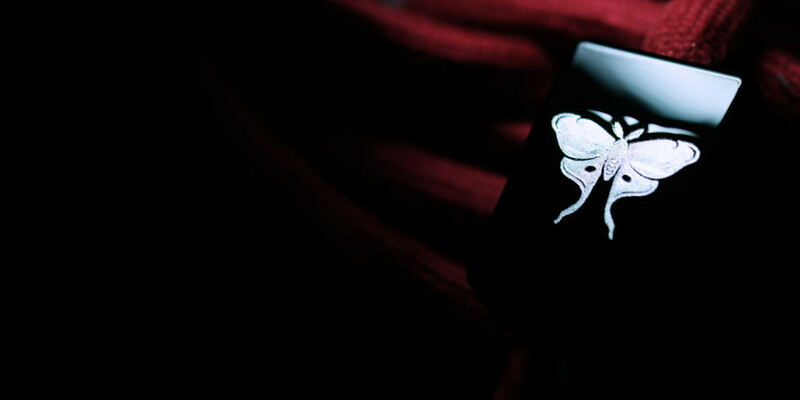 Next in line is the windrose based logo along with the product’s name. 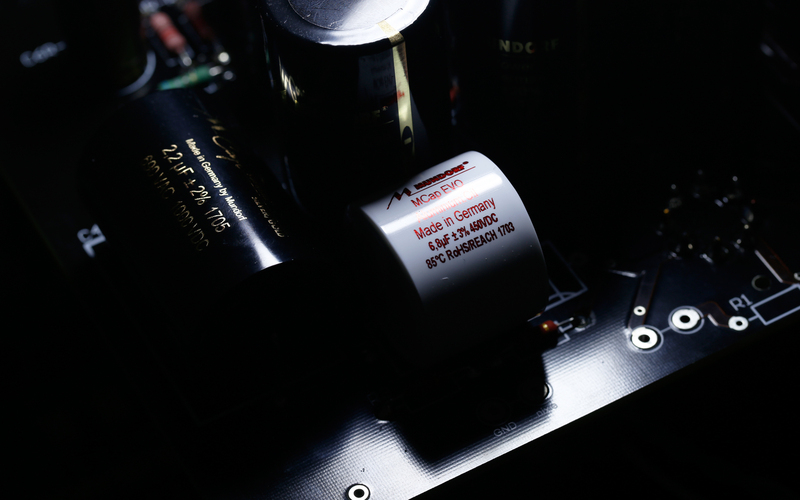 A large nameplate below informs one about this machine’s power consumption, manufacturing and warranty dates, person responsible for assembly and testing, top PCM/DSD values on-board, valves included in the package and a sticker with a serial number. 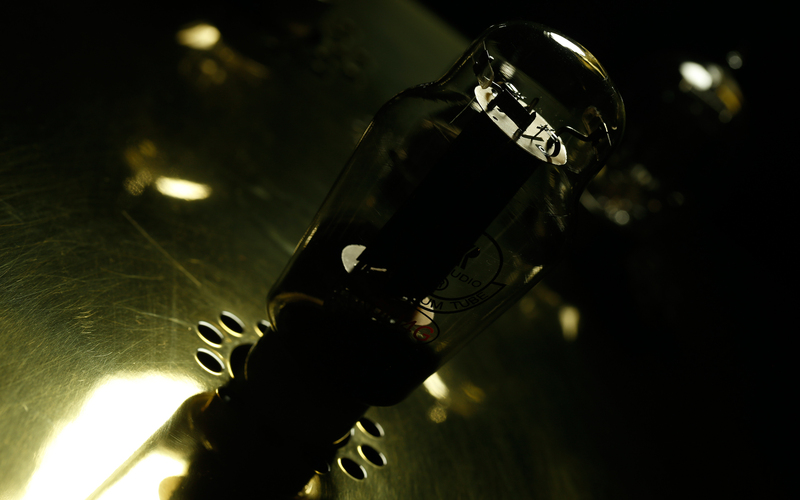 Each single-ended Pacific is sold with one NOS 6H6P dual triode, a pair of 300B DHTs and one 5U4G rectifier. 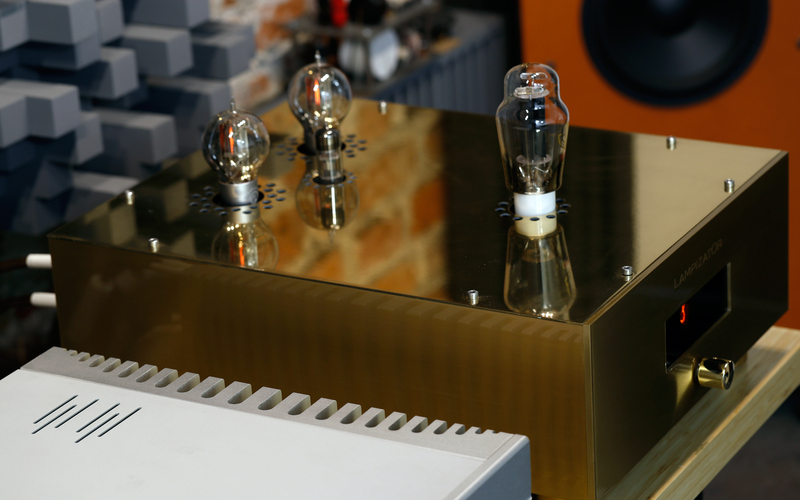 The vintage glass aside, everything else is made by KR Audio in cooperation with Łukasz himself. Eunice Kron ordered her crew to develop several models just for him and that’s how the Riccardo Kron series was born. How so? 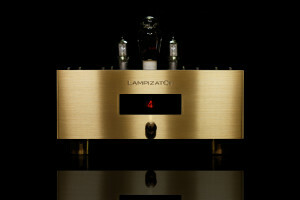 LampizatOr’s CEO placed an order big enough to get KR people interested in this collaboration. 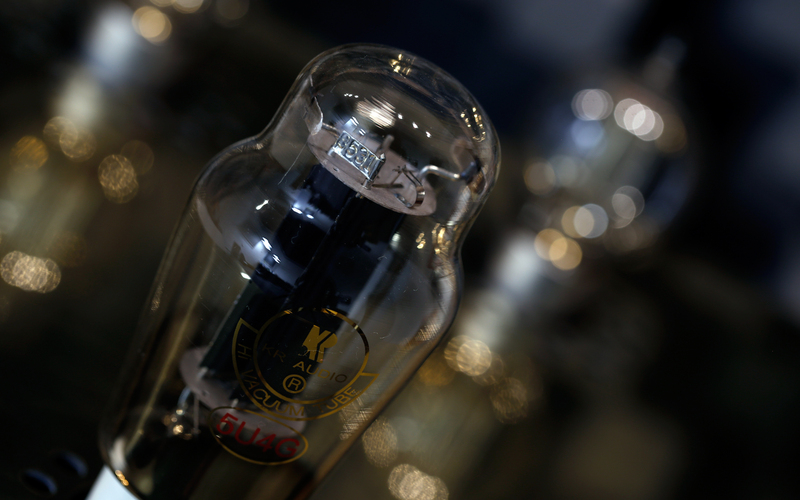 These valves’ glass is thicker than usual and their innards are coated with zirconium. These extra features elevate the cost, yet – according to the man himself – do make a difference. 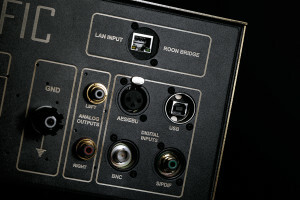 Moving on, WBT based ground connection neighbors with RCA line outputs by the same manufacturer, which sit next to four digital inputs in total; AES/EBU, BNC, S/PDIF and USB type B. 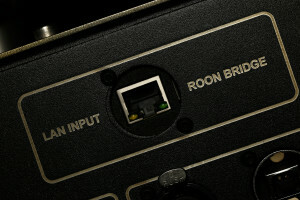 A RJ-45 socket loaded module visible up top is the Roon Bridge. 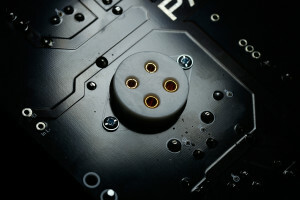 Each Pacific has such a micro computer mounted by default, just as i.e. 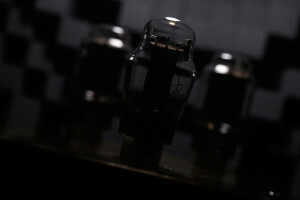 TotalDAC devices by Vincent Brient. The Golden Gate was and still is sold with three ball-bearing footers, whereas Pacific arrives with equal number of different items made by Polish Stacore operation. 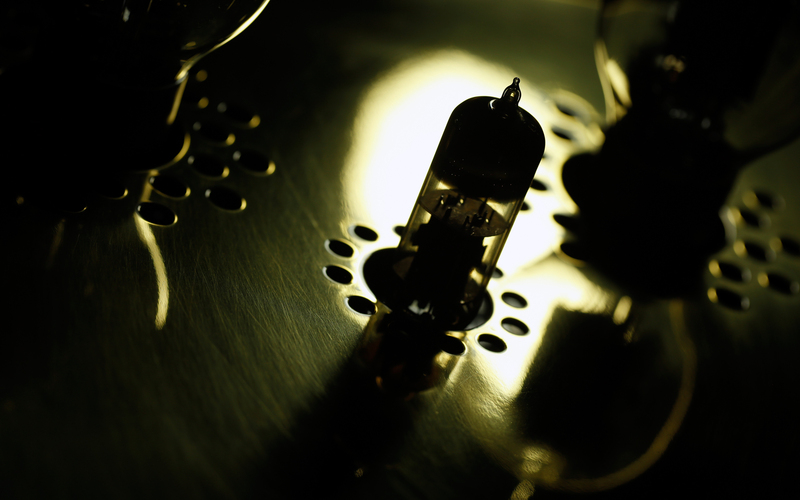 These folks are engineers into heavyweight expensive platforms, said to be very potent in vibrations reduction. 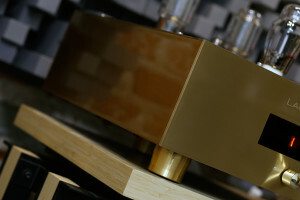 Łukasz wanted to have Pacific as different from his previous flagship as possible and – since he knows the Stacore crew – they developed brass feet loaded with slate sandwich just for his needs exclusively. The robust and foam filled flight case remained similarly DPD/FedEX/DHL/UPS/etc. resistant, though got bigger. Now let’s talk available Pacific versions. The base model, which also happens to be this review’s main dish, cost €22’000. 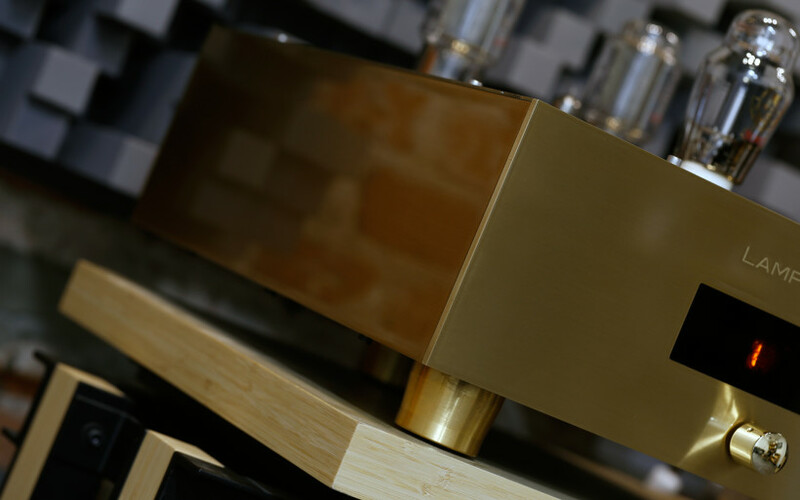 Similarly equipped Golden Gate, hence a single-ended machine with no additional inputs/outputs and no volume control module, is €13’000. When fully loaded with features, these decks can be as costly as €35’600 and €25’000 respectively once local taxes are included. 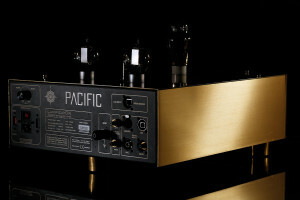 In short, the most pimped-out Pacific out there is as pricey as dCS Vivaldi DAC. To many people a money pile this huge is far beyond madness, which is perfectly understandable. There’s nothing to say here. I’ll repeat one well-known mantra, though. 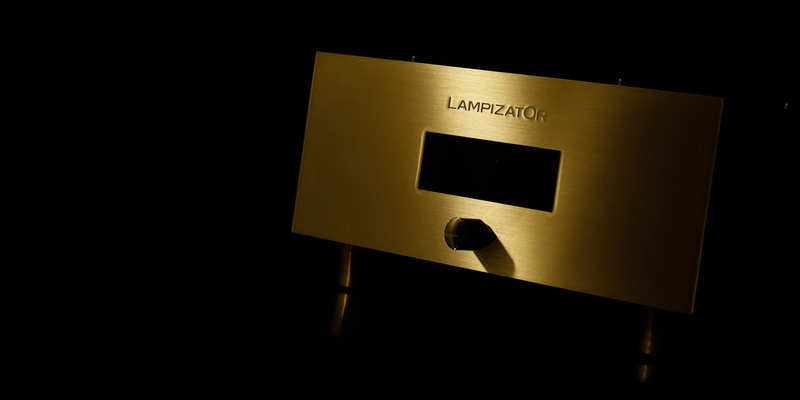 LampizatOr is a customer friendly company since its very early days, that’s unquestionable. Upgrades and alterations have been always possible in this unusual Polish case and such an approach has been pushed even further recently. Every Golden series product owner (Golden Gate and Golden Atlantic machines) can trade-in his deck for 100% list price during Pacific purchase. Yes, that’s the full retail price, with no depreciation value at all. 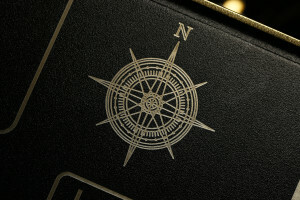 To paint a proper picture, if you have a balanced version of the previous flagship minus i.e. volume control and you’d like to become a happy owner of the vanilla Pacific model, please feel free to subtract hefty €15’000 from the final tab. Yes, that’s €7’000 to dish out in the process and not €22’000. If that’s not an example of a very generous upgrade policy at works, then I don’t know what is. Of course if one decides to follow this path, brand new KR Audio valves provided with Pacific as a standard are off the table unless purchased separately. The good news are that any old golden machine has to be sent for the Pacific upgrade without any glass on-board, hence valves used thus far at home can serve in the upcoming product. Fair enough? Now we should talk fit’n’finish, yet we won’t and the reason why that’s the case is simple; my loaner is the second Pacific manufactured and as such it’s not the final product in 100%. 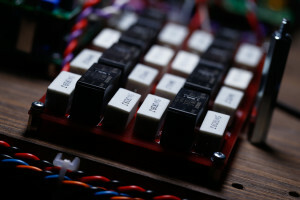 Although sound wise everything is set in stone for quite some time now and every module inside is based on a proper PCB (though connections between these are done in the good ‘ol point-to-point fashion), the enclosure itself will be nicer as far as polishing job goes. For now what’s seen on the pictures has to be sufficient, you be the judge. 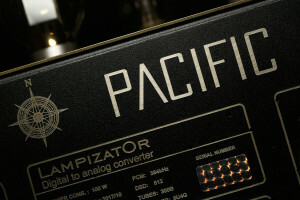 I was told that the very first batch of Pacific machines is being finalized and shipped to customers as early as February. That’s the only reason why this review came to be. If that wouldn’t have been the case, this assignment wouldn’t have happened so soon. 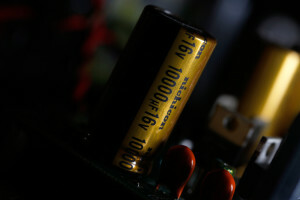 What can be mapped is the magnitude of changes made inside of the product. 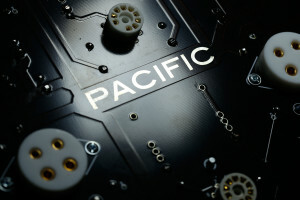 Oh yes, I took a good long peek at Pacific’s innards. Well, sort of. If you might be wondering why there’s the balanced version of Pacific’s inside on the pictures, I’ve asked Łukasz if he could provide it separately as I was in no rush to open his most pricey product. It so happened that he had several units in late assembly stage and ‘yay’ was his answer. 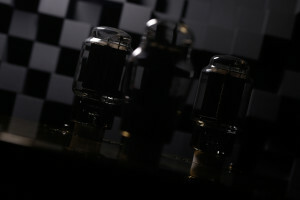 In any case, every component is mounted on a large, thick and veneered MDF, which is used as one of several remedies for vacuum tubes noise. 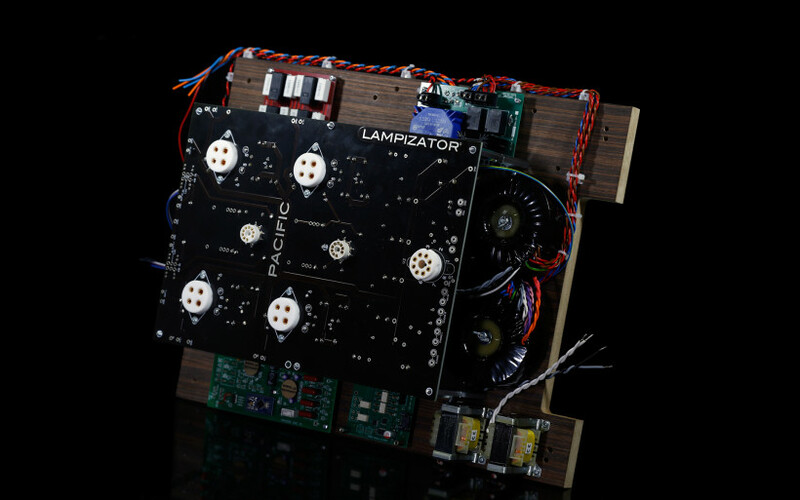 One large PCB with the output stage sits above all else and this is something we’ve already seen in previous LampizatOr products. Amanero Combo384 handles the USB receiving duty still, though now is supported via two Pulsar (€470 a pop) clocks and power supplies for these are provided by the same manufacturer. The digital board changed significantly as well. 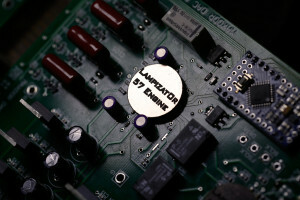 Kosher ‘chipless’ DSD engine can be mounted if one badly wishes to, yet is no more by default and the same story is with the previous generation of LampizatOr’s PCM circuitry. Łukasz rolled with ΣΔ chip this time around, yet is very happy with the outcome. I was told that his brand is influential enough for him to become the early adopter of the latest silicone made by his all times favourite manufacturer. Which one? I have no idea and I doubt that anyone outside the Polish company has. Once an opportunity struck to try something new yet unknown, Łukasz went for it and was blown away in the process, that’s the important part. 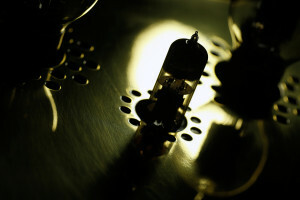 It took him one year to discard the regular data sheet implementation of this mysterious balanced chip and build a working circuitry around it in the usual fashion, that is to say: on his own and from scratch. 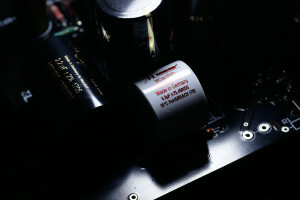 Then he found a suitable digital receiver to compliment it properly and gave the two the ’57 Engine’ code name. 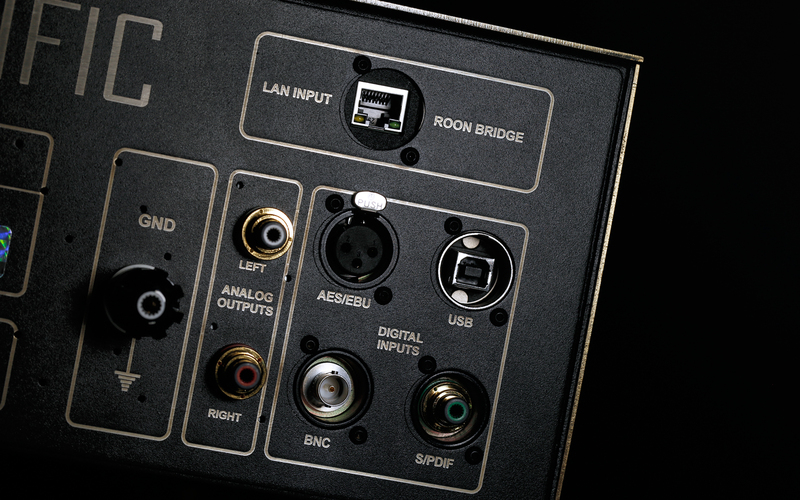 It does it all, namely it auto-senses and auto-switches between DSD (up to DSD512, via USB and LAN only) and PCM (max. 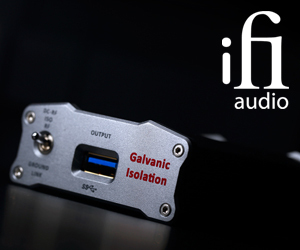 24 bit / 192 kHz via S/PDIF, max. 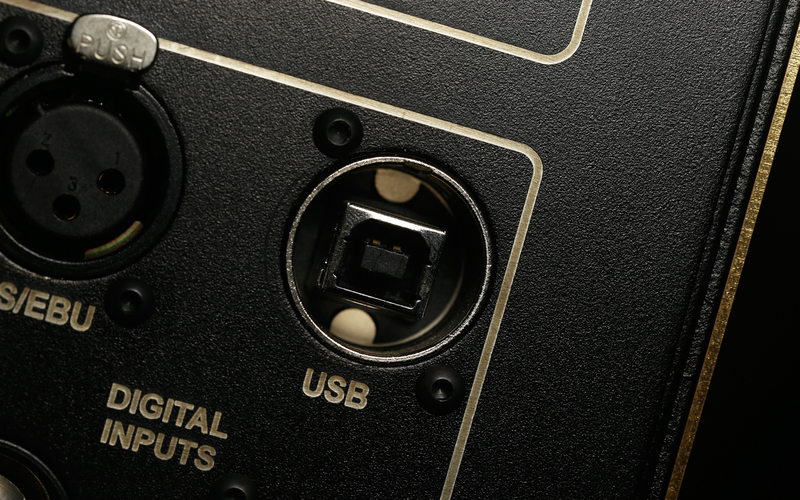 32 bit / 384 kHz via USB, max. 32 bit / 384 kHz via LAN) and doesn’t alter incoming data in any way. Brand new PSU for the digital section had to be built from the ground up as well. 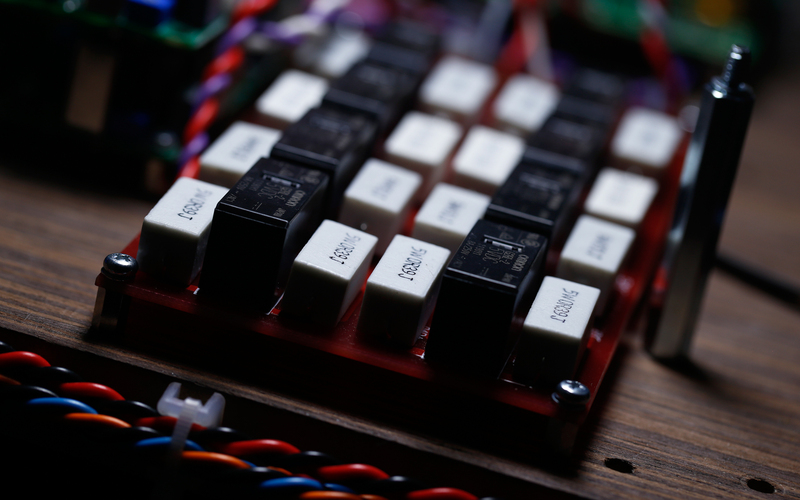 The Arduino and a control logic chip duo is somewhere in there too. The former does the usual job, namely via proprietary code it tells the latter what it is, what it has to do and in what way. 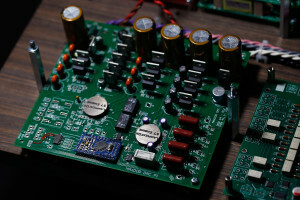 In short, this microcomputer enables the whole conversion process according to the designer’s wish and not via the usual data sheet implementation. Needless to say, it’s the vital part of the game. 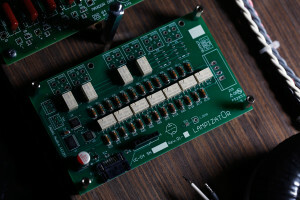 A completely new digital board isn’t the only big step forward. 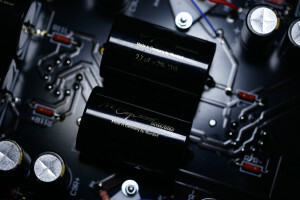 The tube conversion output might look similar to what’s found in Golden Gate machines, the PCB layout is very much alike and the analogue section in Pacific still is a zero feedback design. But two things changed rather severely. 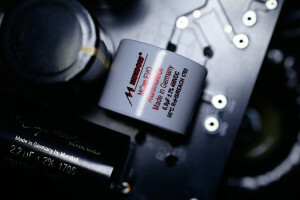 Now constant current source for directly heated triodes is provided not via a silicone, a choke or a resistor but NOS 6H6P dual triode instead, or a pair of ’em in balanced Pacific version. This small glass gets very hot. According to Łukasz, when matched with every other solution he came up with in his latest machine, the active anode loading for DHTs puts everything else he tried thus far to shame. 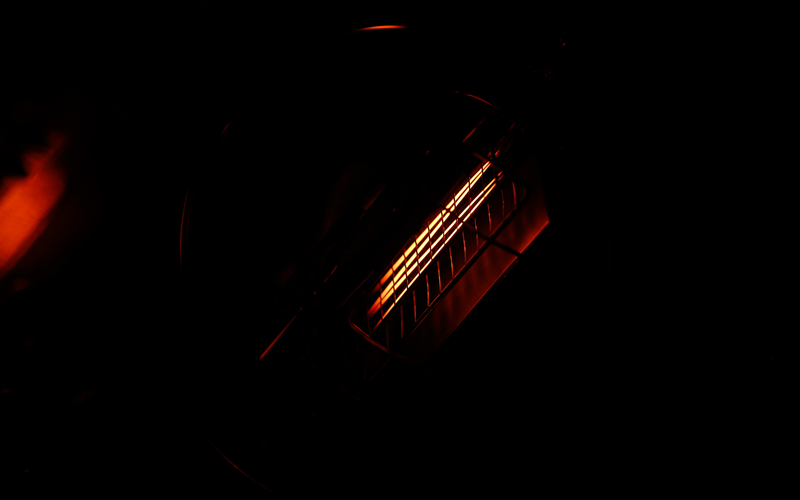 And the last major leap is heating for valves. 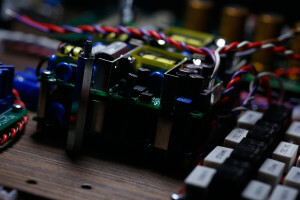 Surprisingly, low noise SMPS critter is used for this job exclusively, whereas everything else is powered as per usual; via two custom made toroidal transformers (both digital and analogue circuits are fed separately) and a number of chokes, all by Polish guru Leszek Ogonowski. 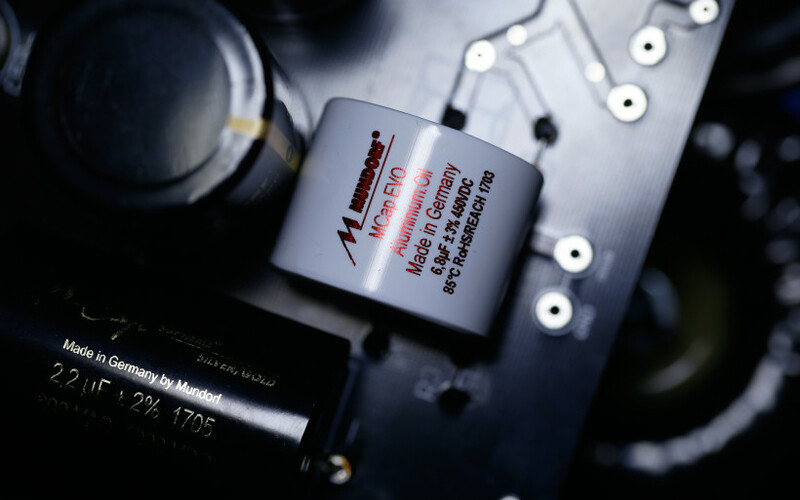 And lastly, top of the line Mundorf capacitors are now the usual suspects. As far as usability goes, I can only say that Pacific is as stable as a rock. 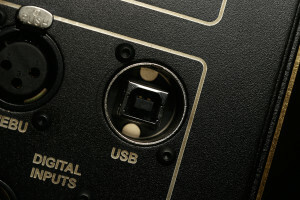 When fed via USB or RJ-45 (only these two were used during the listening phase) it works as good and predictable as my reference source, though it can handle tasks related to media other than music without the need to change anything on the software side. Golden Gate forces me to reset my laptop each and every time when a www based casual listening is on. 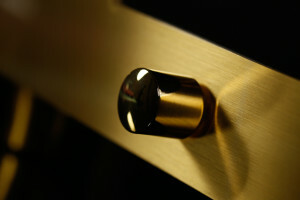 That’s a small quirk I got perfectly used to as this machine is made for audiophile music playback in the first place. As such it requires a small usability sacrifice and that’s the price yours truly gladly pays. 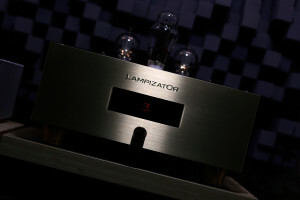 Still, in that sense the latest LampizatOr DAC is much easier to use. Just a change of digital input and presto, it’s ready to roll in no-time with every material there is from every location you can think of. Quality of life improvement over Golden Gate, then? Yes, this exactly. 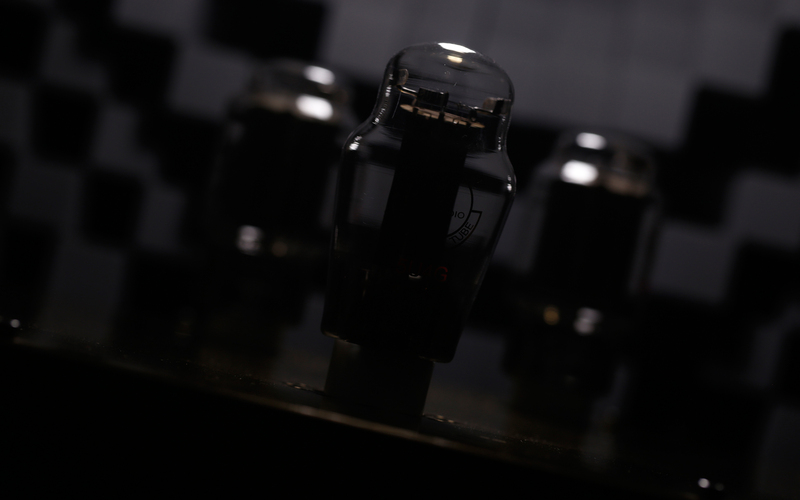 There was only one viable way to test Pacific DAC. And yes, it involved Golden Gate, no other source was needed. Many users of the latter deck simply want to know whether it’s high time for an upgrade within the same manufacturer’s offer. Needless to say, as a lucky Golden Gate owner, yours truly surely was properly equipped for this battle. Two sets of the same interconnects and power cords, all of identical length, undoubtedly helped as well. Since the Pacific loaner delivered to my doorstep turned out to be a single-ended device, in order to compare apples to apples my reference DAC operated not in balanced but SE mode. 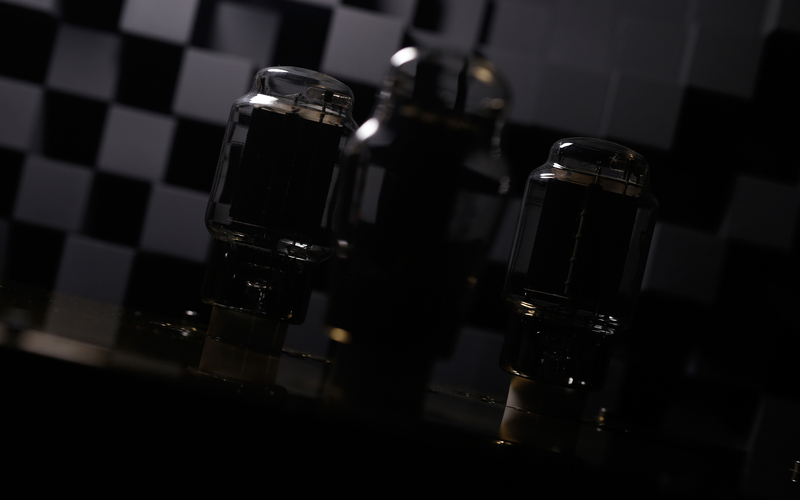 Each source was loaded with one matched pair of WE101D-L valves by Psvane and one KR Audio 5U4G rectifier. I had two of the former glass; my own and a second one Łukasz happily provided to make this assignment a bit easier. As per usual, Asus UX305LA handled transport duties, whereas Trilogy 925 integrated along with Boenicke W8 sealed the deal. At some point PureAudioProject Trio10 Voxativ stepped in as well. 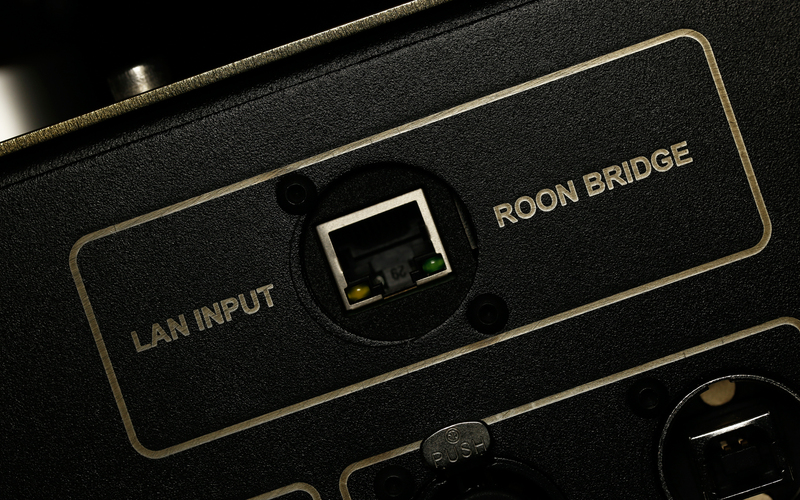 Here it’s also important to know that Pacific fed via RJ-45 leash from Roon loaded laptop directly performed much better than my other machine’s (ultrabooks are too thin to have a proper Ethernet out on-board) USB out. 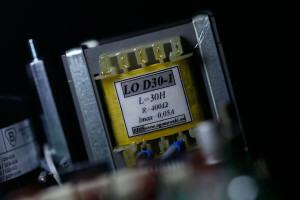 But for the sake of what’s down below, both DACs were compared with the help of Tellurium Q TOTL Silver Diamond model this scribe had on hand at that time. Here’s the story. Brace yourselves, this one’s rather lengthy. Let’s address the Golden Gate case first. I own one since August 2015. 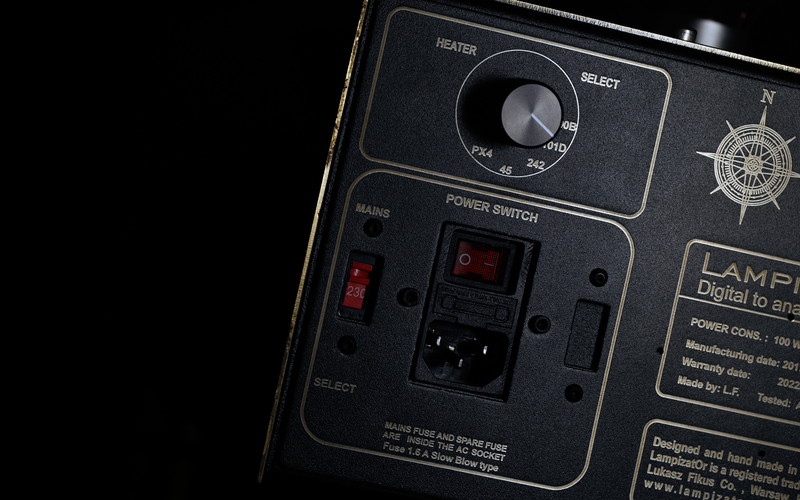 Fully balanced and loaded with TAIV VC-03 volume control module, it’s the most features packed version there is. 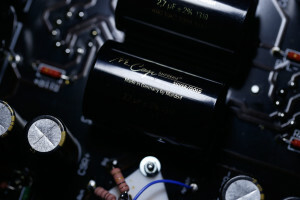 This reference DAC of mine has fought many battles and turned out to be victorious each and every time. Yes, not a single one it lost, thus far it’s second to none as far as sources known to yours truly go. This machine’s wallet bleeding asking price, that’s ~€23’000 right there, indicates that that’s the way it should be, namely one pays a lot and gets even more in return. But this aspect aside, Golden Gate does everything right and nothing wrong. 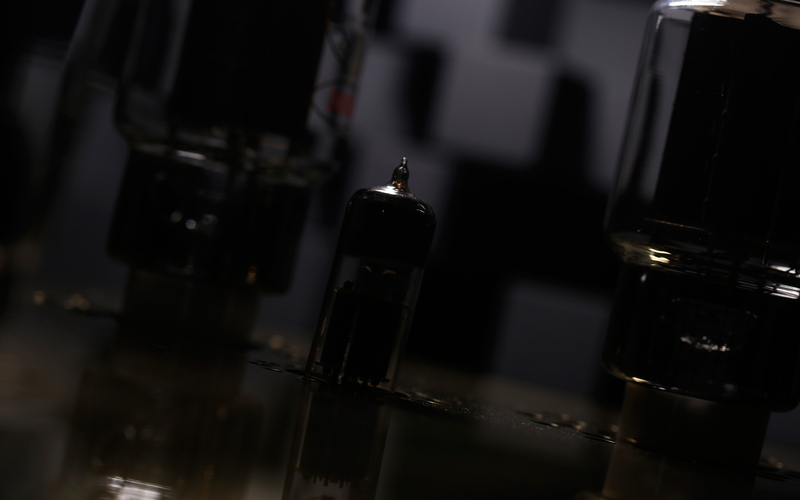 Yes, it’s peculiar in a way or two, but sounds glorious all across the board. The journalistic trade has its perks, my reference thus far was mix’n’matched with dozens of different products, which only helped me to understand to a great degree what it’s actually capable of. I strongly believe that even today this product’s potential I haven’t yet fully discovered, though many things fleshed out along the road nonetheless. 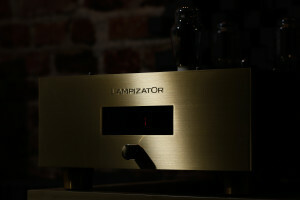 LampizatOr Golden Gate makes the music unusually present. It doesn’t hide behind corners with it but dishes out the full event proverbially ‘here and now’ and sounds exceptionally effortlessly while doing so. This is one of the most striking and noteworthy things about it and I haven’t yet heard a source come any closer in this regard. Łukasz is known for open baffles fondness and who knows? Maybe this OB-like effortlessness is something he likes to show in his DACs as well? Maybe on a subconscious level he wants to achieve this while fine tuning his digital goods indeed? In any case, along with presence comes also substance in music, namely that tangible organic tissue which convinces our ears that good and very lively things are happening. My reference source doesn’t make the sound much thicker and rounder than needed, but it adds a bit here and there. In that sense it paints a picture somewhat sweeter than it usually is. The outcome is that no artificially created objects but finely sketched and very much alive musicians are within one’s reach. The sensation of hearing this at home on a daily basis is unbeatable. Even now, after 2+ years of listening to Golden Gate’s input I still am impressed by this feature, which brings us to one quite uncommon thing. 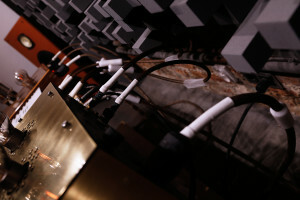 This machine puts emphasis on the very first row of instruments, serves it at times very closely, scarily intimate even. Such show might not be in 100% true, but subjectively speaking surely is charming and likeable. Moving on, descriptions up above indicate that Golden Gate has its own and rather strong character and that’s true. 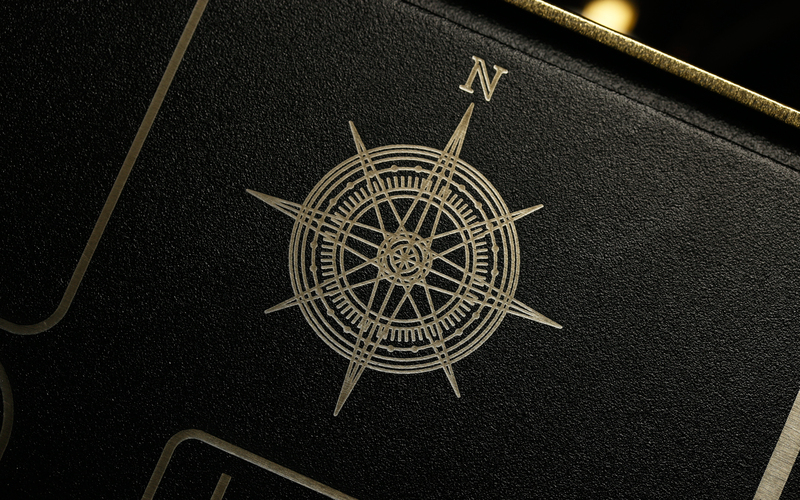 This deck’s presence in every setup is always noticeable. At times more, at times less, but it’s audible that this machine is at works. 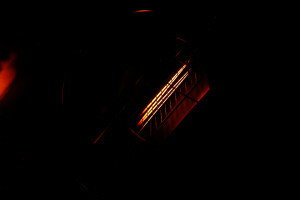 Perhaps this effect can be trickled down with other tubes, I honestly can’t say. 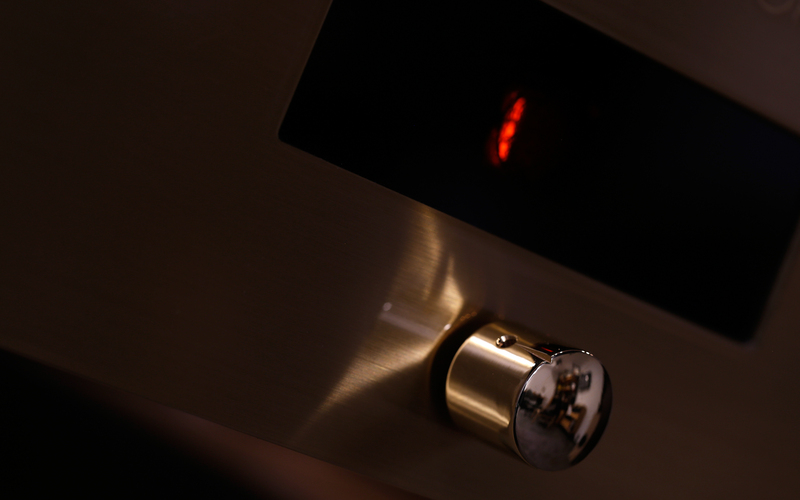 But as is, my DAC isn’t invisible. It’s very obvious that Golden Gate was built to show music in clear yet beautiful way. 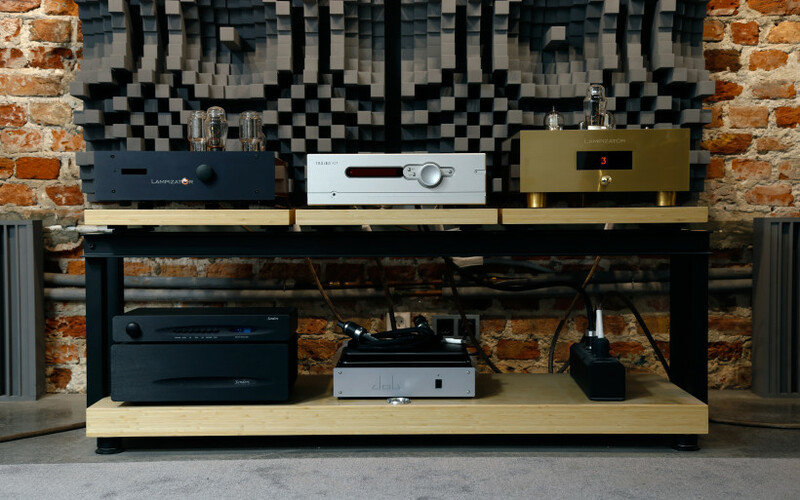 Yes, this one is an enormous joy provider, but at the same time there’s the sensation that – during the pleasure injection phase – someone stopped in the nick of time and swiftly shifted towards more hifi oriented features. Because of this, said machine is also very meticulous and resolving, yet these aspects kick in naturally and aren’t emphasized, on the contrary to musical content in what’s heard. 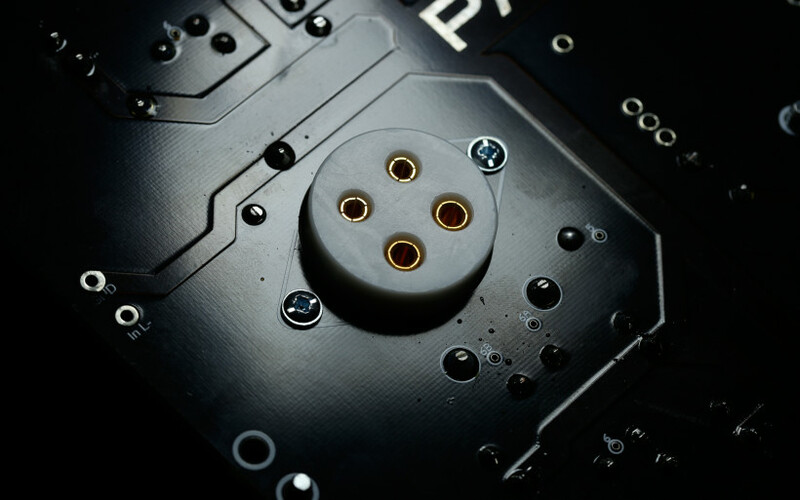 It should also be known that the Polish product creates enormous, complex and very breathable soundstage and as such is able to easily show the differences between environments. This feature is also impressive, spectacular even, yet never showy. If this magic is not in a recording, a listener won’t witness it. Very rarely are sources able to create this uniquely coherent, lively and moving organism and in this regard in particular Golden Gate is second to none, it surpasses every competitor I’ve heard both with ease and by far. 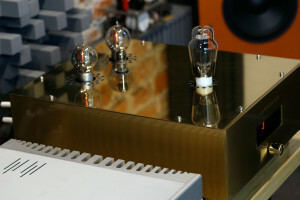 There you have it, a DAC to grow old with. 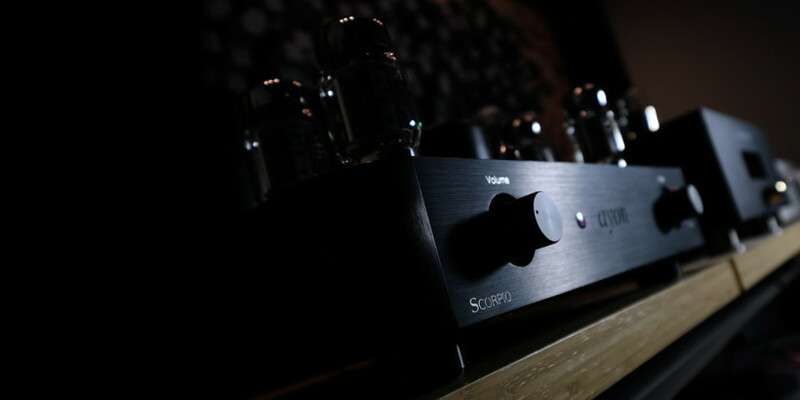 It’s properly muscular and at the same time capable of fine music differentiation, it handles the soundstage job brilliantly, is effortless to listen to and unbelievably smooth and easy-going in general. Yes, this source is more pleasure than critical listening oriented, yet capable of both and does that ‘first row up-close&personal’ thing I subjectively adore on top of all else. 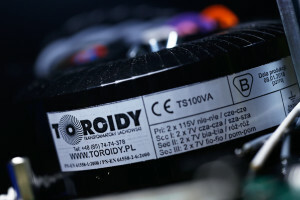 While writing these words I still strongly believe that my Polish source is the last product I’d like to part ways with and having said that, the solid swapping agenda which involves speakers and an integrated is already in the works. In any case, Golden Gate is very, very good and most individuals lucky enough to own one would agree. I honestly can’t say how this machine behaves itself with quality valves other than WE101D-L on-board as these are my favourite ones. Out of six owned, thus far one died recently, yet two more are soon to be goners. When one sees black stripes on the WE101D-L glass, its days are numbered. And the reason? No getter in these at all. In any case, probably there’s a lot of room to maneuver as far as glass rolling goes. But there’s no urge for this scribe to touch this subject just yet. And lastly, I can only say that in case of Golden Gate, rectifiers do make a great difference. 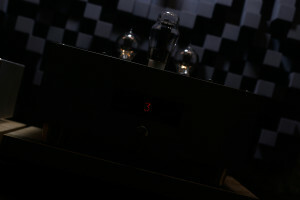 That KR Audio 5U4G valve listed somewhere up above? It transforms this already agile DAC to something even faster, feistier and tighter in the downstairs department with no drawbacks. I’ll allow myself one last and somewhat subjective remark before we’ll wrap this paragraph. Golden Gate’s inherently informational character makes this deck a very useful journalistic tool on a daily basis, yet at the same time it treats music in a very humane fashion and allows this scribe to enjoy it constantly. To merge these two worlds is not easy and I have no knowledge of a source which would do it any better. Alright, Golden Gate is mapped now, let’s move to Pacific. As far as the most important aspects go – characteristic and quality of the sound – Pacific has been treated in the same way as its chassis and innards. I know that I’m repeating myself here, but let me stress this again: Łukasz didn’t aim at yet another Golden Gate version but something different. 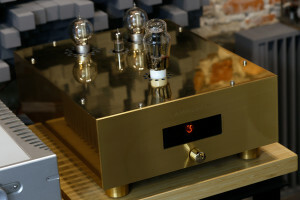 Yes, his goal was to have this DAC neither upgraded nor similar in general. He wanted to create a completely new product, yet remain true to his core principles and he did just that. In short, Pacific is a very different beast in comparison to the previous flagship, the meta shifted in a very peculiar direction recently and such a change might be quite shocking to many people, especially to those who looked forward to even more Golden Gate goodness, namely a deck which sounds in a similar fashion yet is audibly better. Who knows? Perhaps this will happen at some point to at least a degree and the distance between Golden Gate and Pacific will shorten in the process? 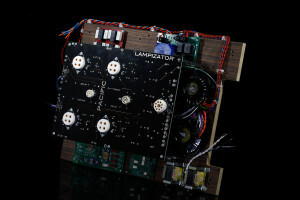 LampizatOr is all about upgrades and alterations along the R&D road after all. Yet that’s not the case this time around as practice shows bluntly that these two are not alike. It’s not an exaggeration to say that differences between ’em are too big to be described in any other way than simply staggering. To explain what Łukasz did with his latest DAC in as understandable way as possible, picture Mount Everest and K2 mountains. Golden Gate got all the way to the top of the latter, whereas Pacific conquered the more popular/mainstream former peak and reached even higher. In general, this means that the current LampizatOr flagship does a major sidestep from a deck which held this title not longer than several months ago, but that’s merely a fracture of the whole story. Pacific in many regards also sounds noticeably better and this is very surprising. Not one but many Golden Gate owners might now think: “OK, but how much better can it get?”. In some ways substantially and that’s rather unquestionable. Simply because after switching from one source to another, the delta of changes is enormous at times, not for a second one has to wonder what just happened. But first things first, let’s remove all ’em mountainous metaphors from the equation. If Golden Gate is the music oriented, saturated and well-bodied performer, it can be safely said that Pacific belongs to the high fidelity camp. It’s heard in an instant that the latter deck is leaner and more agile. To those who now do wonder about the sheer amount of liposuction performed and speed injected, the first aspect is noticeable yet it doesn’t make Pacific a thin sounding source, not at all. It’s somewhat slimmer, yet pronounced clearer in the process. In this context, Golden Gate is an adult male of say 90 kilograms weight who hits the gym three to four times a week and honestly doesn’t slack around at all, whereas Pacific is say one tenth lighter, but its body is made out of rock and sculpted to a degree where even its tiniest muscle is visible in its full glory underneath paper thin skin. In other words, the latter DAC looks like the future Mr Olympia 10 minutes prior going on-stage and winning the title. With such body you simply can’t lose. The second matter – speed – is something that has been elevated greatly in Pacific. Thus far my reference DAC was one exceptionally feisty source when loaded with limited KR Audio’s 5U4G rectifier. 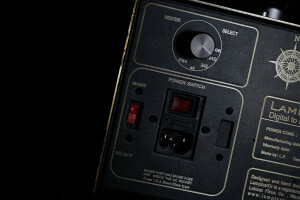 Not many other DACs known to me could keep up with it. Still, ‘was’ is the key word here as the newcomer is on a different level in this regard. The previous flagship is mellower and calmer in comparison, hence outright slower. In the context of Pacific, Golden Gate puts downstairs presence in the spotlight whereas sheer attack is the domain where the former divides and conquers unconditionally. This aspect will make many Golden Gate owners very surprised as that’s one of the major differences between these two machines. Pacific is stupendous here, fast and immediate, it doesn’t take any prisoners. This deck’s sibling is bloomier, rounder, provides more oomph and these are several out of many reasons to come why to yours truly it sounds in more romantic fashion. In such scenarios apples and oranges are usually compared, something is taken and something given in return. Yet Pacific has an edge on the quickness/attack/agility/feistiness counts, via deeper reach it also handles the gutsy massage task better and sounds full still. 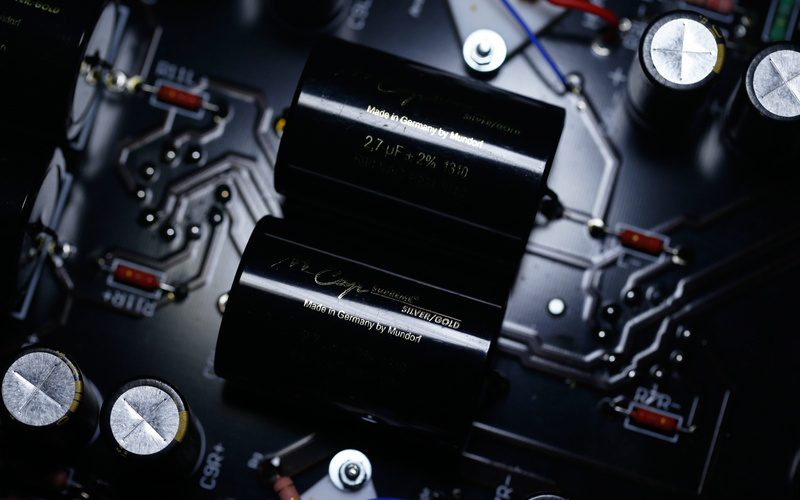 To put it simply, the latest Polish TOTL DAC favors less pretty yet much more thunderous, vigorous and effortless approach than Golden Gate, it brings more shove and snap to the table. When all this is combined, the outcome is different, true, but also nothing short of damn impressive and likeable. Up above I wrote that Mount Everest is more mainstream than K2 The Killer Mountain and Pacific can be associated with the former for a good reason. 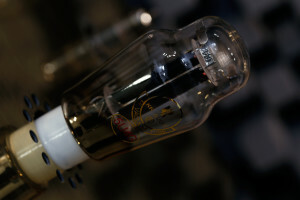 It’s high time to ditch riddles and put all this into properly audiophile lingo. In short, it’s about the meta shift that’s been done in the LampizatOr portfolio. 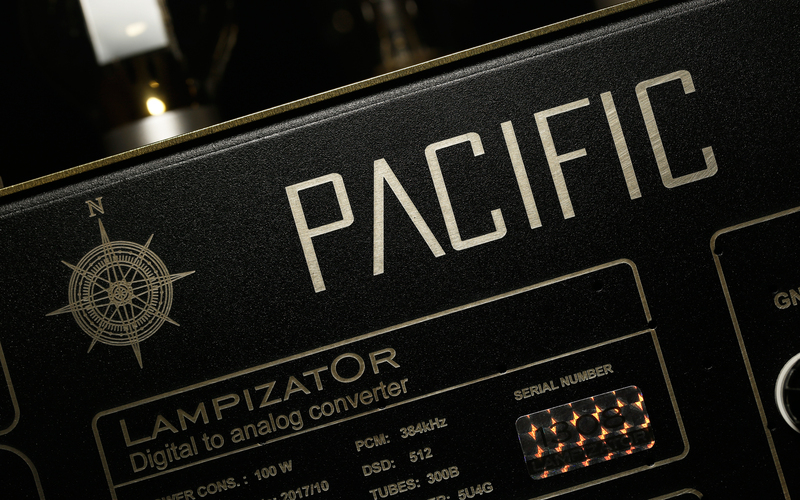 Pacific sounds like no other source by this manufacturer and the mainstream badge means that this machine is exceptionally resolving, transparent and natural, hence more flexible soundwise. It makes the picture less saturated than Golden Gate, yet creates a very meticulous and precise outcome instead. It does the contouring job as good as it handles pigment injection. The two works of art created by two Polish sources are anything but similar, that’s true, but here’s the real kicker; Pacific is a very organic deck as well, this aspect hasn’t been lost along the high fidelity road, not at all. 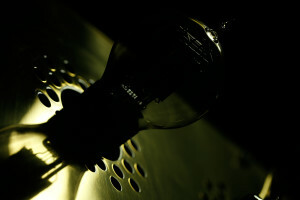 It acts as a magnifying glass for music and electronics used and at the same time is very lively. That’s the beauty of this product; despite the major meta change that undoubtedly occurred, it’s neither sterile, nor flat, artificial, dull or unpleasant. Humane and moving tissue covers bones made out of titanium in this oceanic specimen. Not only is it difficult to achieve such an outcome, , but to pull it off with no obvious drawbacks is an achievement to behold. 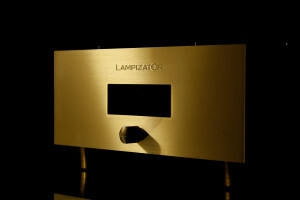 LampizatOr Golden Gate sports the music oriented approach above all else, it’ll get along just fine with every repertoire there is, whereas its brother is more fastidious. It won’t beautify an outcome, but will show it as-is instead and that’s the bottom line. This scribe’s music library had to be rebuilt in order to remain enjoyable as many badly recorded albums suddenly stopped being listenable. It quickly became obvious that these are the ones to blame and not Pacific. On the other hand, its inherent transparency allows devices nearby to work their magic more easily and noticeably than Golden Gate will probably ever be able to. My point here is that – because of all of its virtues – while on duty Pacific is very audible, yet more via team effort and less as a lone ranger. Let’s move to the headphones realm. Here the former flagship is quite similar to HiFiMAN HE-1000v2 headphones whereas Susvara and Pacific are very much alike. People who’ve heard both planar magnetic models should connect all of the dots with ease. Joy oriented, very spacious and present downstairs, HE-1000v2 is a major crowd-pleaser. 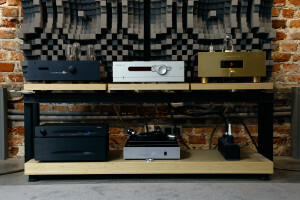 HiFiMAN’s top shelf planars on the other hand play in a completely different league. 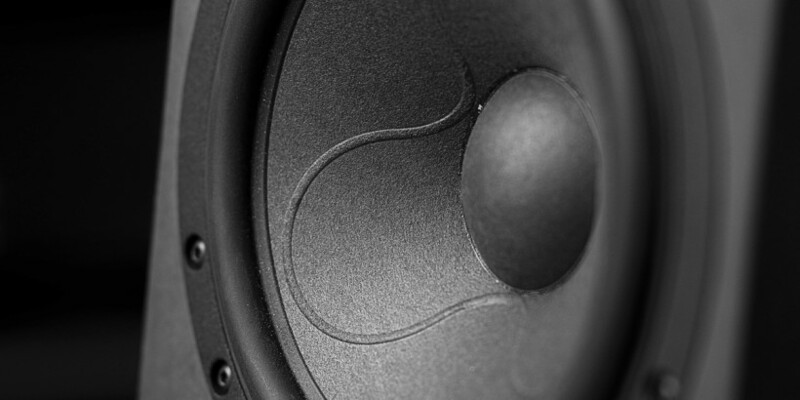 These cans are of high performance, evenness all across the board and far wider audible bandwidth. It’s about less romanticism and more truth in the Susvara case, which leads to more generous bass reach, more presence upstairs and cooler attitude in general. 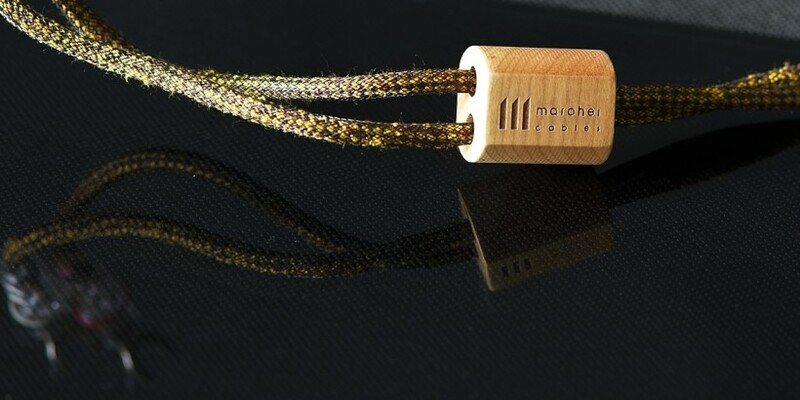 These very impressive headphones don’t emphasize any feature in particular, they deliver with a bang on every count there is and sound effortlessly, unbelievably smooth and lively while doing so. It’s a remarkable yet very pricey product and the same story is with Pacific, albeit with dynamics on even stronger steroids. This DAC gets the job done no matter how one slices it. Heck, Golden Gate is a very clean source, yet its costlier sibling sports even tidier attitude and the same story is with clarity. 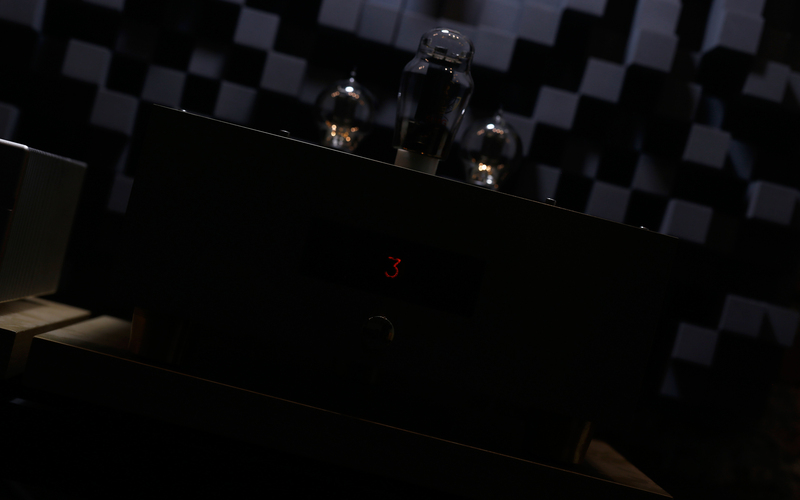 If we move to the amplification zone, my current reference is soundwise similar to Trilogy 925 integrated whereas the 993 + 903 combo by the same manufacturer represents Pacific. 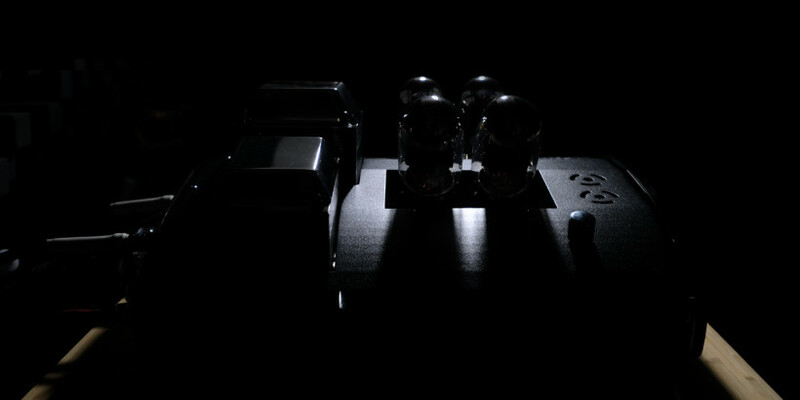 Yes, yet again it’s about leaner, yet much more powerful sound and then some. 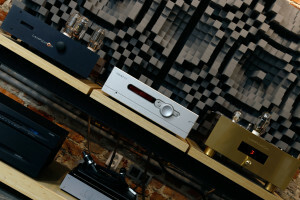 All HiFiMAN headphones and Trilogy decks mentioned up above were reviewed on this very site. Please feel free to get yourself familiarized with these writings and the Golden Gate vs Pacific case will become even more understandable in the process. 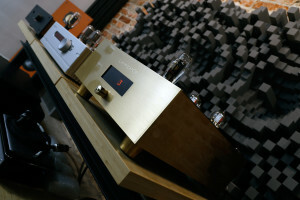 The next distinguishable difference between both the current and the former flagship is the soundstage. What Golden Gate does with it I’ve already covered. The important part is that Pacific is only somewhat similar. This machine serves the image in even more expansive, grand, direct, effortless and airier fashion, though also a bit less substantial/weighty. It creates more space between a listener and events up close, though these are not the only big alterations out there. Pacific is more precise, that’s obvious at this point and what follows is more complexity far in the back. This deck is somehow able to showcase small and very deeply localized bits and bobs in music with greater ease. On the soundstage related counts it’s more meticulous and informational than Golden Gate, yet very lively as well. The Pacific sensation is elevated here via longer top end decays, though high FR is of similar weight. 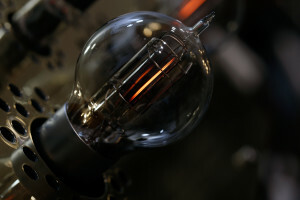 In comparison, Golden Gate loaded with the very same tubes and connected via the same cables seems slightly dimmed, with obviously lowered gravity centre. 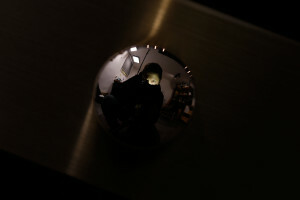 Less romanticism and more detail retrieval is the case again, yet additionally spiced up via bigger and clearer picture. Now past all major differences between both described decks, yours truly will allow himself to write several subjective words. Not as a journo but a fellow passionate and a lucky Golden Gate owner. I can only say that Pacific is in many ways far different than this machine, but all in all better and my guess is that many enthusiasts would agree here. The newcomer sings faster, is punchier, clearer, more informational, transparent and effortless, delivers grander and more refined picture and then some. On these counts it simply is more potent. Not slight improvements here and there but a major leap in many regards has been made, whereas a change of pace and weight are two big aftereffects. Still, in audio nothing comes for free and one can’t have everything, not even with Pacific at work. We move accordingly to our individual taste and needs, in hope that we know what we’re doing, while keeping our fingers crossed that any setup alteration will please us. And having said all this, Golden Gate gets one job done better than the newcomer. It’s heard that it serves the music itself, that this is this machine’s main task and focus and everything else – albeit of undeniable quality – contributes to achieve this very impressive outcome. Having said the bold words up above, my reference handles this pleasure job so good, that to turn a blind eye here would be criminal. Golden Gate shines in this regard as brightly as possible and brings me a lot of joy in the process with no questions asked. That’s the trade-off Łukasz decided to make in the trickier, fussier Pacific case. Because of the new TOTL status quo in his portfolio, there are two flavors available there now. Though the main takeaway here is that one is technically better and of more high fidelity sort yet lesser crowd pleasing potential in return. Whether this rocks your boat is not for me to say. Let me finish off this paragraph by saying loud and clear that Pacific is also able to show music from utmost beautiful side, that’s beyond any doubt. But it has to have a quality material to work with to show all transients, details and the very alive thing in general, whereas fuzzier, warmer and more polite Golden Gate gets away with the same murder more easily. And lastly, several interesting observations fleshed out as far as this scribe’s reference setup goes with LampizatOr Pacific on-board. 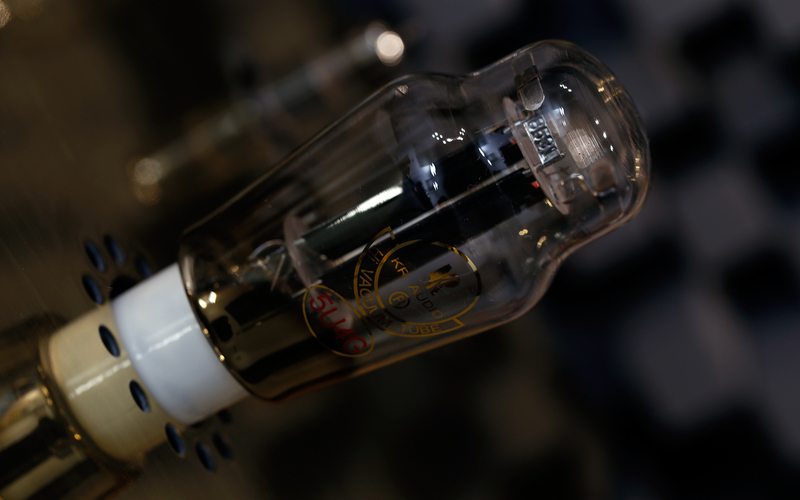 Because of its utterly impressive dynamic potential, great synergy was the outcome with Trilogy 925. Substance, presence, tonal richness and downstairs slam are the key measures to properly describe what this integrated does with sound. 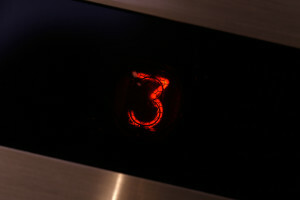 It’s slightly on the slower side and that’s heard with very difficult Boenicke W8 floorstanders. In this environment exactly, Pacific performed a spot-on repair service via speed injection, it turned the weakest aspect of the setup into something very respectable and intense enough to be on par with the most prominent features. Yes, the sound got leaner, yet spatially grander, far more immediate, of less blossomy attitude yet greatly extended bottom reach at the same time. Who wouldn’t roll with a change this severe yet trade-off this small? Because of this, within my own four walls this machine was the reason why very jumpy and very heavy music sounded exceptionally well. 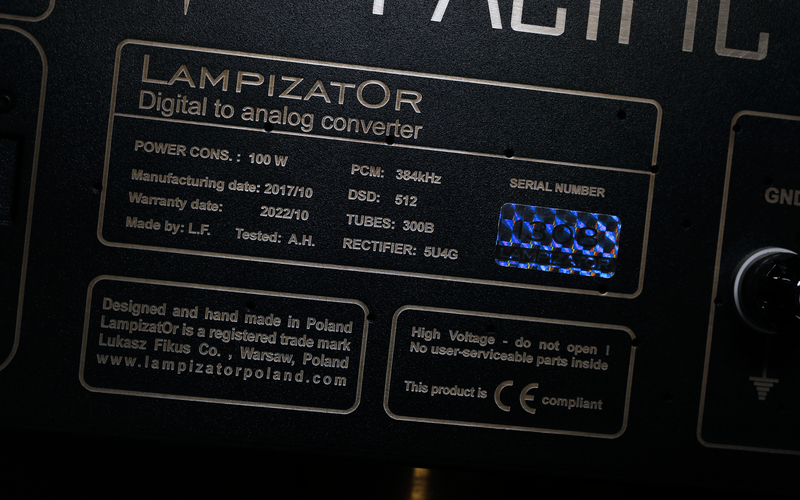 After days of switching back and forth between Pacific and my reference, now I tend to think that it’s highly likely that not Trilogy 925 was the culprit of an outcome slower than desired but the latter DAC instead. That’s not the whole story, still. Whether something can be done with the latest Polish machine via glass rolling is a completely different subject, to be told very soon. 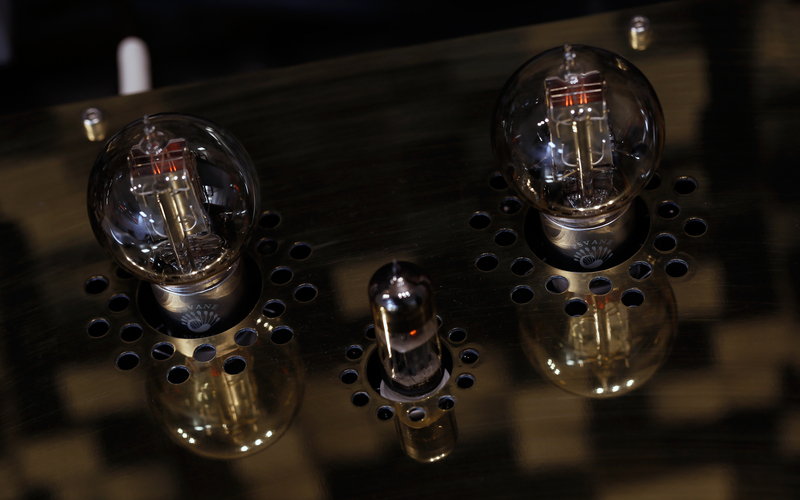 My loaner arrived with several different KR Audio valves and the incentive to explore this particular field surely is there. In any case, this writing got way longer and difficult to digest than it should, let’s wrap it up finally. What an unexpectedly pleasant ride it was. 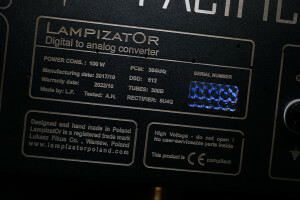 While the Polish newcomer’s asking price changed to a staggering level, so did its sound characteristic. Now that’s something no Golden Gate owner was prepared for, yours truly including. 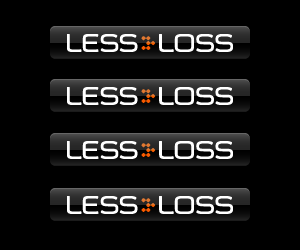 The word is that – past a certain safe level – the law of diminishing returns kicks in heavily. True, though that’s not the case with Pacific at all. This deck is utterly enjoyable and in many ways spectacular, yet at the same time also very different from previous flagship. And there is a number of perfectly viable reasons why it deserves to sit on the very top. Yes, it is that good. The Golden Gate vs Pacific scenario might resemble an apples and oranges comparison early on and rightfully so. Still, the more one listens to the latter, the more obvious it becomes that it’s not about more hifi and less magic only, far from it. Such a meta shift focused description is too mild and oversimplified to properly grasp what Pacific brought to the table. 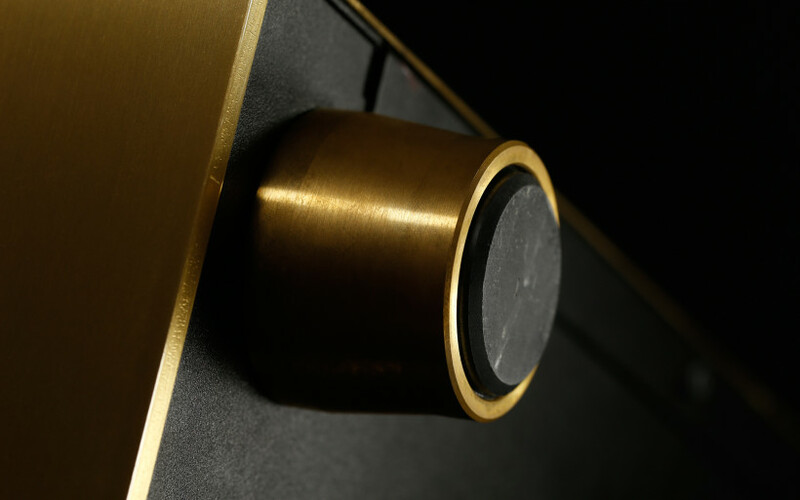 The final impression is that this newcomer is not only something from elsewhere sound wise, but also simply more potent on counts such as agility, grandness, downstairs reach and grip, resolution, top end extension and immediacy in general. 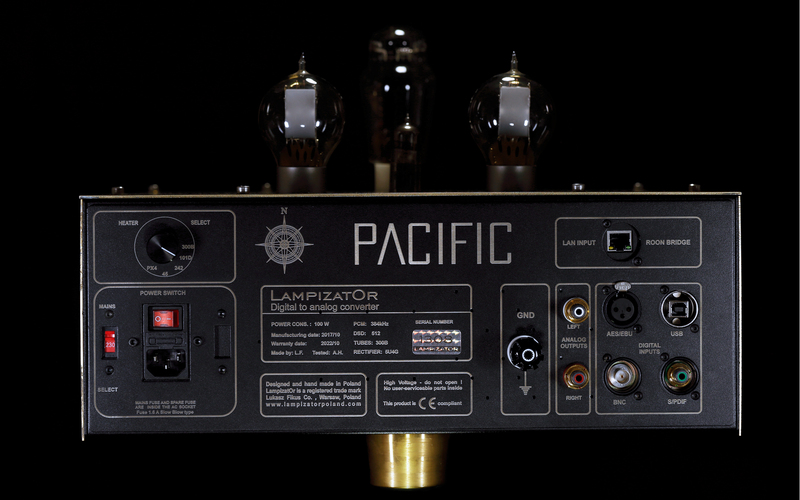 Pacific does the high fidelity part audibly better, is more flexible in the process, yet at the same time remains smooth and very organic, just as every other LampizatOr deck currently available. Nothing got lost in translation in these regards. Less weighty and less romantic sound were the two trade-offs this scribe was able to find once the Pacific was on. These major mood and atmosphere makers are the reasons why some individuals will remain faithful to the previous top shelf model after hearing the two machines side by side, which is perfectly fine and understandable. To each his own, as they say. Yet in the long run, both magnitude and the number of sound related technicalities improved in Pacific are too extensive to not be taken into serious account. After several weeks long head to head comparison, this scribe has found Pacific to be not only very different from Golden Gate, but also a superior specimen overall. Even despite of more truthful and less tuneful approach it sports. Whether visual flamboyance of both Golden Gate and Pacific is likeable is a very subjective matter to tackle, hence let’s not go there. Objectively speaking, the latter feels more luxurious and much less DIY. When the two are in sight, to point a finger at the TOTL deck is rather easy. LampizatOr’s products are of no dCS Vivaldi fit’n’finish quality, that’s true. Yet Łukasz makes constant progress nonetheless and that’s admirable in my book. To respect the man for steadily pushing forward along his own path instead of taking well-known mainstream routes is not a crime. 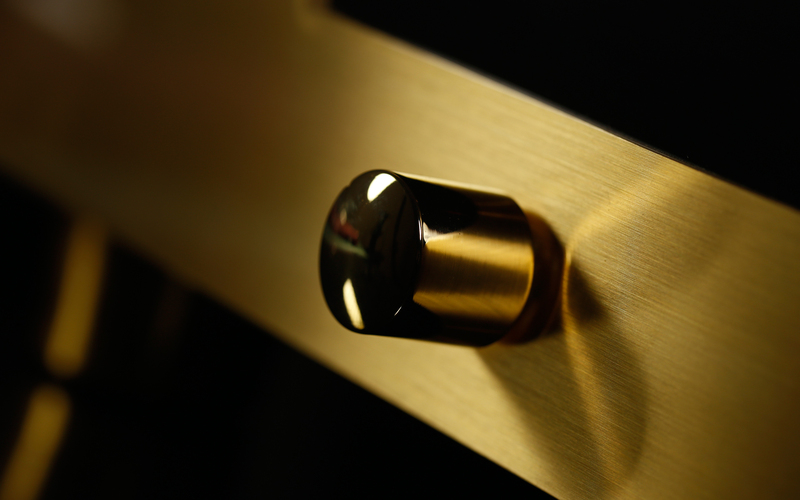 The same story is with a generous trade-in program prepared for current golden series owners. How many manufacturers out there do zero depreciation value deals these days? And having said this, a group of lucky Golden Gate/Golden Atlantic users should at least give Pacific a try in the well-known environment once an opportunity reveals itself as this one surely deserves their full attention. 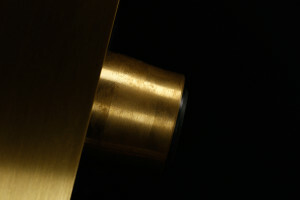 Golden Gate is undoubtedly a very respectable, refined and world-class product. For over two years it served me as a very efficient remedy for the awkward and annoying DAC related itch. There was no need for scratching at all as this scribe’s reference bested everything thrown in the same pit, until recently it simply had no match. Although sooner than expected, the dethroning day has finally arrived. The crown will remain in the same family, yet will shift to the new king’s head. Pacific is capable of stupendous things, provides greater leverage in this scribe’s daily journalistic struggle, works within his setup very well and is the best DAC known to him currently, period. It’s not about meta related fads but the very audible, very real performance upgrade Pacific provides instead. After time spent with this device, to inquire about that trade-in scheme is a very solid plan I intend to execute. The number one spot on the podium comes with the ‘Victor’ award in the package, here’s to the LampizatOr crew as they’ve done it yet again and ’till next time!